Why crack your head when you have all the doorstep comforts and conveniences? 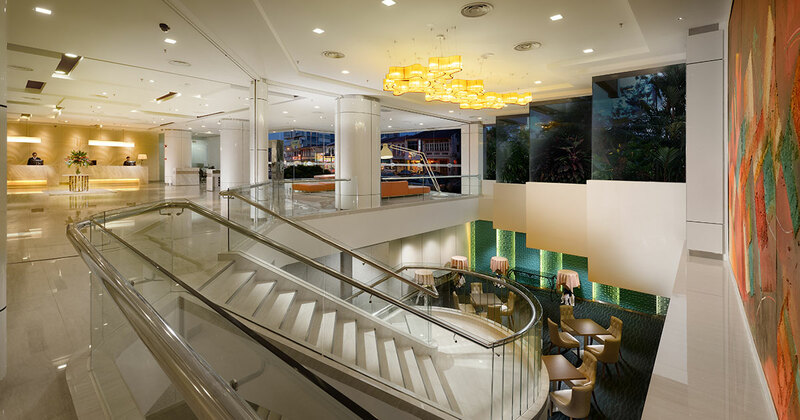 Choose the right hotel in the right location, half the trip is well planned out! This rings true when you have a Penang trip in mind. Be it a day trip, weekend trip of a few days, or something longer, you can always save yourself time and hassle being a productive traveller with a more enjoyable experience to look forward to. When you have lots of delicious Penang food to savour and so much more to explore, don’t waste time staying at a place far away from popular tourist attractions. Get cozied up to a nearby place where everything is accessible within a 5-km radius especially when most of the attractions are located within Georgetown. 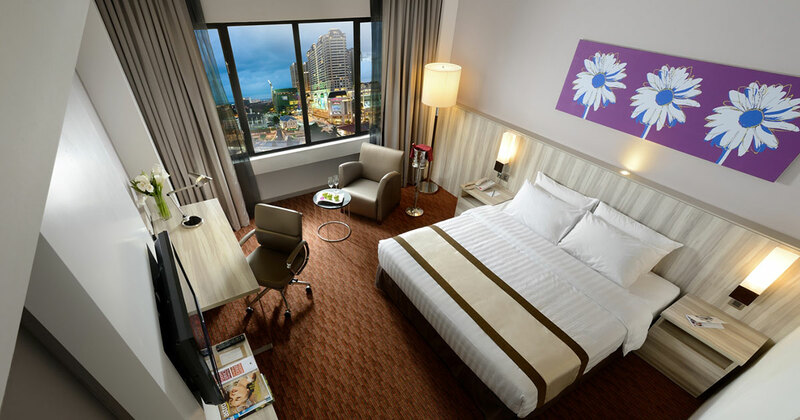 And this is where Sunway Hotel Georgetown sits comfortably. 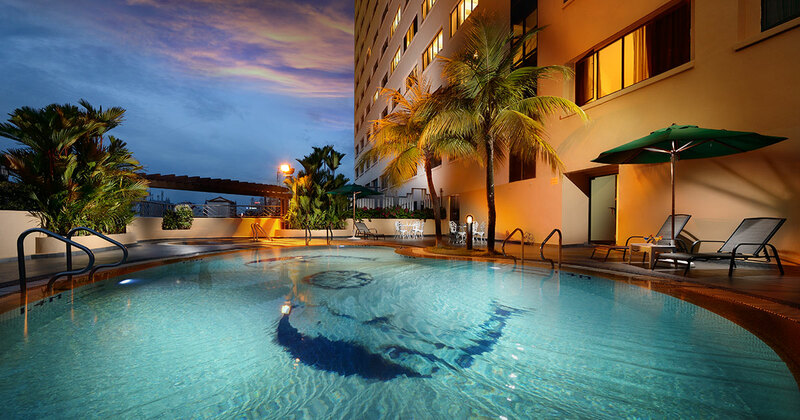 Knowing that traffic is a big concern for visiting popular tourist attractions around Penang, staying at a nearby hotel is a right move to start with. Georgetown alone is home to a long list of attractions from culture to adventure, history to art, food to shopping, lifestyle and sightseeing. The UNESCO World Heritage Site attracts both Malaysians and foreigners from all over the world, mind you. Just about 100m across the street from the hotel is where the famous New Lane (Lorong Baru) foodstalls congregate. That’s an outright “convenient winner” for you to sample Penang’s iconic hawker food. Char Koay Teow, Chee Cheong Fun, Sotong Kangkong, Asam Laksa, Oh Chien (Fried Oyster Omelette), Curry Mee, Popiah or Leng Chee Kang, make your call. 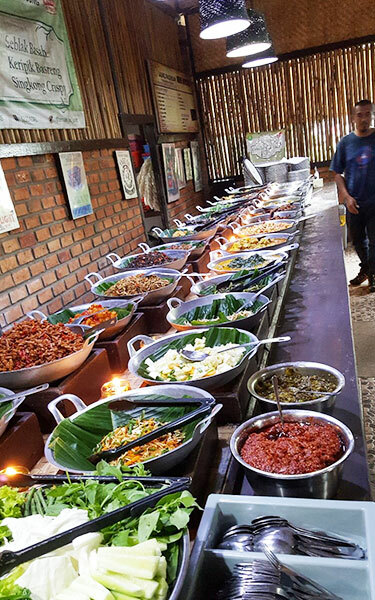 Foodies would also find Restoran Nasi Padang Minang, Ah Leng Char Koay Teow, Nasi Kandar Beratur Original, Penang Road Asam Laksa, Penang Road Teochew Chendol and Beach Road Ali Nasi Lemak on their radar within a short, convenient distance. For durian lovers, satisfy your craving at Anson Road’s durian stalls. Stop by Ghee Hiang Local Specialties Shop too. Penang has a wonderful assortment of museums to quench your thirst for knowledge and curiosity. For a start, Penang State Museum is just about 200m away from the hotel. Top up your list with Penang 5D Interactive World, Upside Down Museum, Chocolate & Coffee Museum, Made In Penang Interactive Museum, Penang Wonderfood Museum, Penang 3D Trick Art Museum, Penang Time Tunnel and Pinang Peranakan Mansion. New attraction – KOMTAR Skywalk – is the talk of the town for what it literally means, which is merely 500m away from the hotel. Get your adrenaline all pumped up at nearly 250m high up in the sky on a glass walkway! Perched on the 68th floor of KOMTAR, formerly the tallest building in Malaysia, KOMTAR Skywalk feasts your eyes with a sweeping view of Georgetown’s cityscape and its surroundings from seaside to Penang Hill. 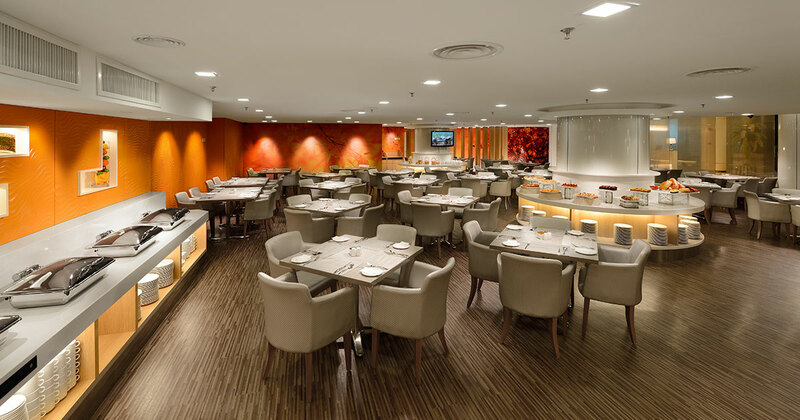 Feel free to soak up more “lofty air” at Sky Lounge on the 65th floor to make your KOMTAR trip extra special. Another new attraction that pulls in crowd from all walks of life is the Penang House of Music. Traverse a time tunnel from the 1940s to 1970s to enrich your knowledge of the art scene and musical heritage of Penang. Seniman Agung Tan Sri P. Ramlee and Dato’ Dr. Ahmad Nawab are among the household names that make Penang proud. For the newer generations, this is possibly the best place to enlighten yourselves on Bangsawan, Boria, Ronggeng, Puppet theatre, Chinese Opera, Dondang Sayang, Pop Yeh Yeh, Talentimes and dance crazes of that era. The Radio Room exhibits are eye-poppers that give you an irresistible impulse to bring them all home! Well researched, archived and presented in an honest way to showcase a rich local history, Penang House of Music is strategically located at level 4 of KOMTAR, which is barely 700m away the hotel. History and heritage tour of Penang is a must. With just about 750m away from the hotel, you will surely leave your footprints in the epicentre of Georgetown’s historic site, which is made up of The Waterfront, Cultural Enclave, Business District, Leisure Zone and Enterprise Zone. 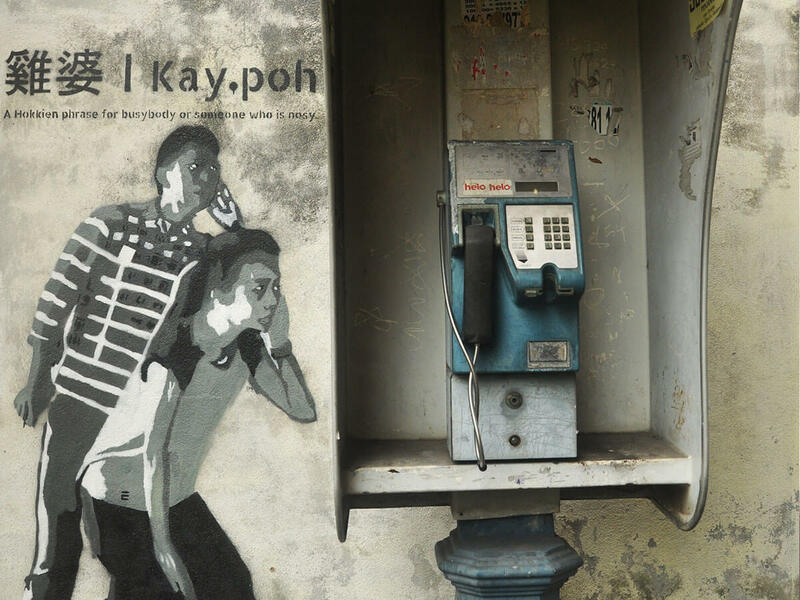 Padang Kota Lama, Fort Cornwallis and Penang Street Art are part of the attraction. Plenty of photo opportunities around here. Experience a different art scene of Penang at the historical Hin Bus Depot, which is about 600m away. Make your Penang trip wholesome with a visit to Chinatown, Little India, Chowrasta Market and Nagor Square, all within a 2-km reach. For shopping within Georgetown, check out Prangin Mall, Gurney Paragon or Gurney Plaza. 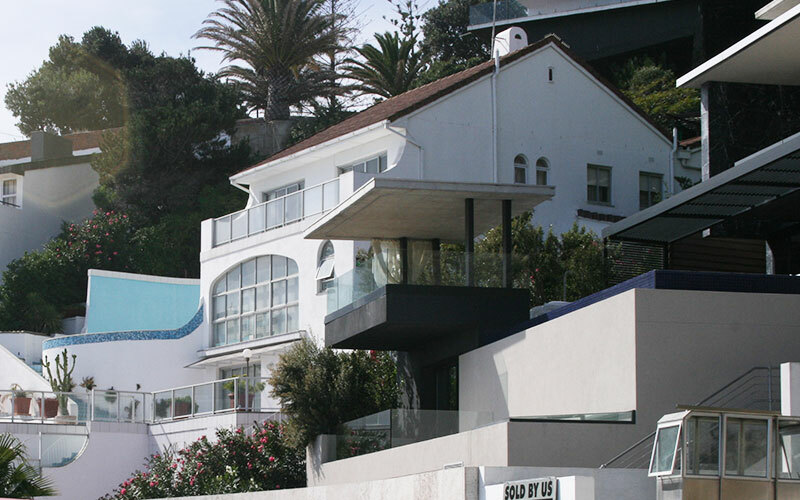 For atmospheric seaside F&B and sightseeing, chill yourself at Northam Beach Café and Gurney Drive. Penang is packed with exciting events all year round. For February alone, there will be the Kek Lok Si Display of Lights (4 – 19 FEB 2019), Chinese New Year Celebration (5 – 6 FEB 2019), Penang Hot Air Ballon Fiesta 2019 (9 – 10 FEB 2019) and Hokkien New Year Celebration (12 FEB 2019). The Penang Tourism Calendar of Events is published here. Travelling around Penang is made easier with your preferred mode of transport, be it a rented car, SUV, van or bicycle. Remembering key street names such as Penang Road, Jalan Magazine, Jalan Dato Keramat, Jalan Macalister, Jalan Dr Lim Chwee Leong, Jalan Anson, Jalan Burma, Pengkalan Weld, Jalan Sultan Ahmad Shah and Gurney Drive will definitely make your trip more manageable. If you have the luxury of a local friend to show you around during your visit, that’s priceless! Penang Global Tourism and Tourism Penang are two very helpful references to plan your trip. Again, staying at a convenient place makes a lot of difference to your trip. 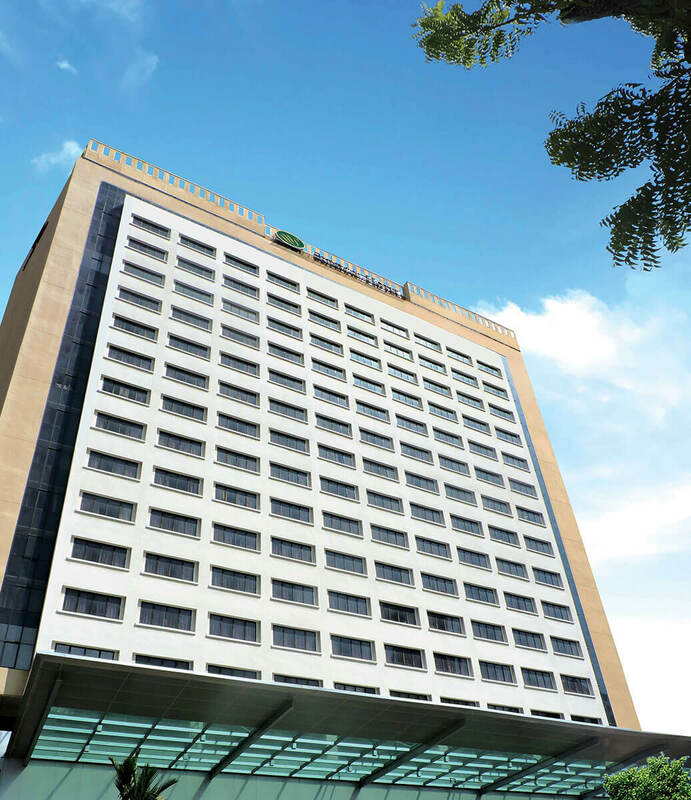 Learn more about Sunway Hotel Georgetown. 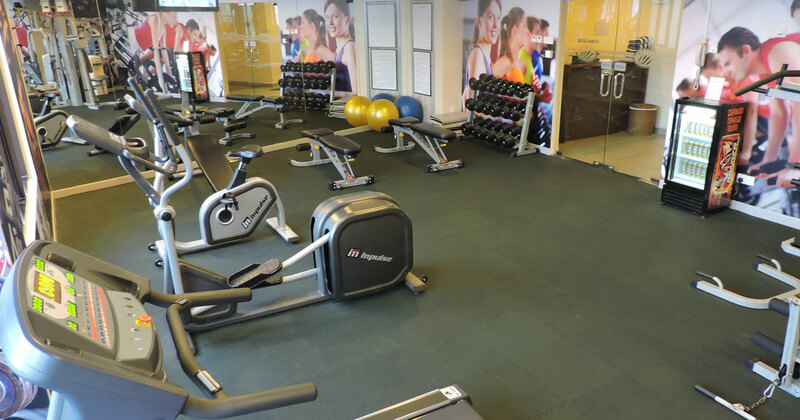 Taking up the entire 7th floor and part of the 8th floor, covering 26,000 sq. 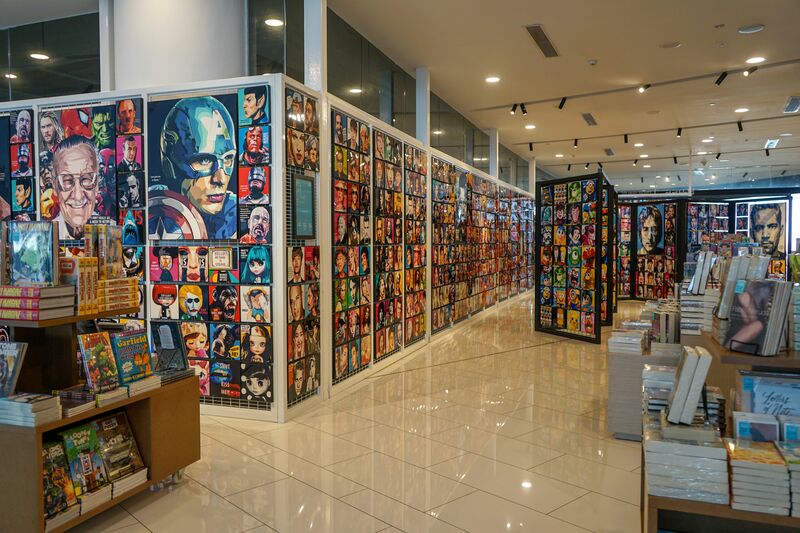 ft, BookXcess Gurney Paragon Mall features a children’s section which offers a breath-taking view of the ocean, providing inspiration for young readers to spark their curious minds. The bookstore also features comfortable reading spaces for customers to browse the sample books available. 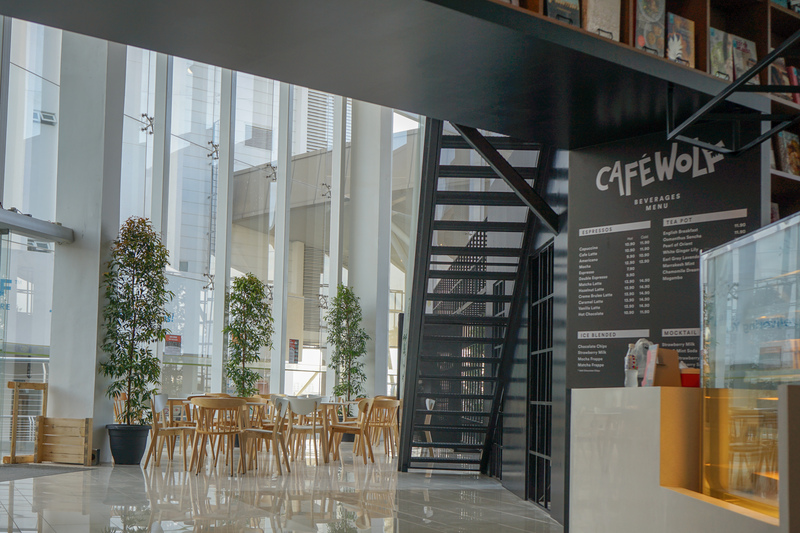 In addition, customers can also visit Café Wolf, BookXcess’ very own in-store café for refreshments or a quick bite. BookXcess has built a reputation for offering a wide selection of books – from bestselling novels, children’s books, cooking and architecture to literature, history, evergreen classics and décor – at hugely discounted prices. As a remainder bookstore, it offers a wide range of overprinted and unsold copies from publishers around the world. The company’s primary aim is to encourage the joy of reading by making books available at affordable prices. 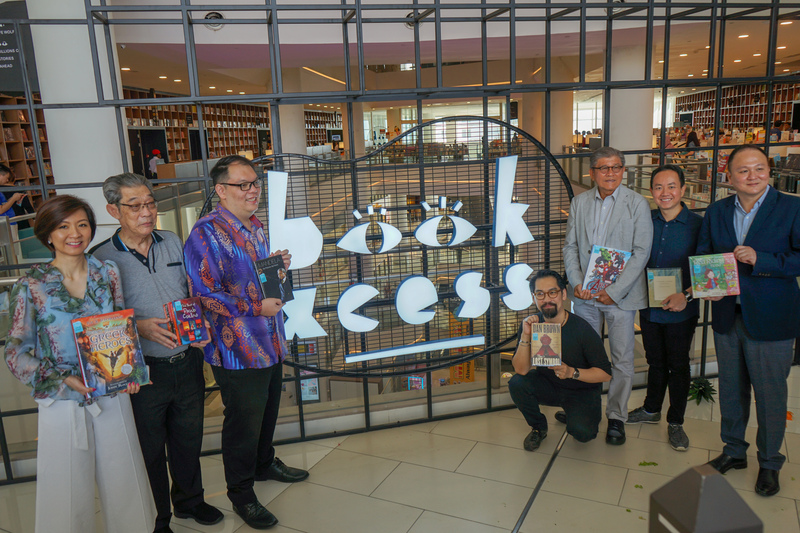 BookXcess opened its first outlet in Amcorp Mall in 2007, and has retail outlets at the Starling, fahrenheit88, as well as gift stores called BookXcess XS in 1 Utama, SS15 Courtyard and Centro Mall, Klang. 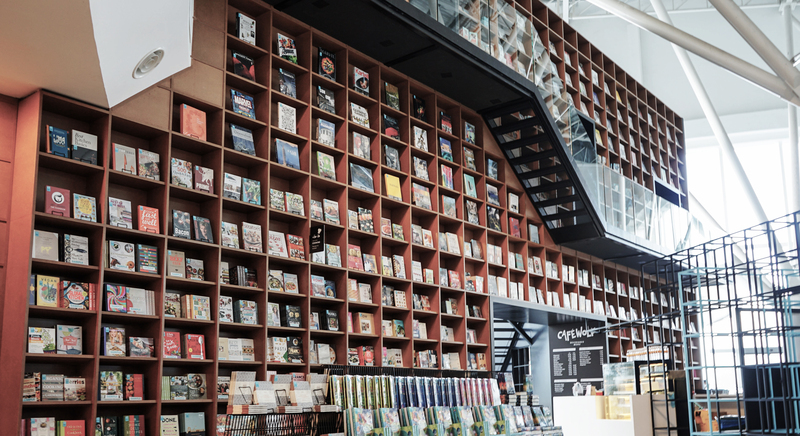 In May 2018, BookXcess also launched the nation’s biggest and only 24-hour bookstore at Tamarind Square. The company also offers online shopping at bookxcessonline.com to meet the needs of customers outside the Klang Valley. Located in Gurney Drive, Gurney Paragon Mall is the premier shopping mall in Penang Island, built around and inspired by the former St. Joseph’s Novitiate – converted into St. Jo’s, an area for stylish restaurants and cafes steeped in the architecture of Penang’s heritage. Spanning 700,000 sq. ft. NLA over nine floors, Gurney Paragon Mall offers a superb mix of fashion and lifestyle brands, sea breeze-fronting al-fresco dining areas as well as the first IMAX screen in Penang. It provides a memorable experience to all shoppers and pleasure seekers. Gurney Paragon Mall was also certified as a national record holder of The Malaysia Book of Records with the achievement of “First Shopping Mall Integrated With A Heritage Building”. Other achievements include “Best Retail Development Malaysia (5 Star) – Asia Pacific Property Awards Development 2018-2019”, “Best Experiential Marketing” Silver Award 2017 & 2018 by Malaysia Shopping Malls Association (PPK)”, “FIABCI Malaysia Property Award 2015 (Retail Category)” and etc. PR Manager, BookXcess Sdn. Bhd. I grew up eating Hokkien mee a lot. It is still one of my favorite dishes to this day. For those who have no inkling of what Hokkien mee is, it is a dish of thick yellow noodles stir-fried in black soy sauce with pork lard, prawns and cabbage, and served with a must-have chilli shrimp paste condiment also known as sambal belacan in Malay. Contrary to what people believe, this popular dish did not originate from the Fujian province of China but was allegedly created by Wong Kian Lee, an immigrant of Hokkien descent who ran a hawker stall in the area now known as Kampung Baru in Kuala Lumpur, in the 1920s. Many Malaysian Chinese are of Hokkien descent with a vast majority of them residing in the states of Penang, Selangor and Johor. Besides Hokkien, there are many other dialect groups such as Hakka, Cantonese, Teochew, Hainanese, et cetera whose forefathers – many of whom originated from south China – made this country their home many centuries ago. There is no specific rule in the Chinese custom that prohibits intermarriage among the various dialect groups. Hence, interdialect group marriages among the Chinese were commonly practiced in those days and even more so in this modern day and time. Whenever someone asked me which dialect group do I belong to, I simply say, “I am “Hakkien” – one who is born Hakka but could only speak Hokkien. No, I am not “speaking bird language” here. My father is Hakka and my late mother was Hokkien. I was born and raised in Klang, and lived there until the late 1990s before moving to a new township which is just an hour’s drive away. Klang was – and still is, I believe – a Hokkien-majority town. One would only need to look at the huge mansion-like building that houses the Klang Hokkien Association and be convinced. There are no other Chinese guild buildings around town that could come close to surpassing its sheer size and grandeur. Many non-Hokkien Klangites like me grew up speaking Hokkien as our mother tongue. I guess this custom was quite prevalent in many towns and villages back then, as Chinese of different dialect groups tended to use the dominant Chinese dialect of the locality for social interactions and communication between dialect groups. Hokkien was once widely spoken in the community and played a significant role in defining Klang’s place-identity, but today its usage is not as prevalent as it was in the past. While Hokkien is still largely spoken among the elderly folks or street-market traders, those of the younger generation appear to be lacking in enthusiasm to use Hokkien as a lingua franca in their daily inter-communal communication; partly because some see Hokkien usage as an indicative of a lack of education, vulgarity and backwardness. The further decline of usage is also attributed to the rise of Mandarin as the preferred language among the Chinese-educated families. Many studies conducted by linguistic scholars in Penang and Singapore have revealed that the use of non-Mandarin dialects in their respective regions is in dire decline and this phenomenon is in tandem with the decline of many other minority languages in the world. According to a study by a United Nations independent expert, Rita Izsák, “half of the world’s estimated 6,000-plus languages will likely die out by the end of the century” if no effort is made to preserve them. I am no linguist expert nor am I a dialect proponent, but my concern is less with the decline of dialects per se than with the waning of place-identity. What I am particularly interested in is the relation between language and place, and am curious as to how one would articulate that relationship. That is, what role does language play in making places? Can language be a tool that helps us to uncover and discover the authenticity of places and its people? Take Hokkien, for example. There are two versions of Hokkien spoken in this region today. From Penang in the north to Johor in the south, each state has developed a sort of their own unique localized variant of Hokkien, the difference in which can be easily distinguished by the sound of the speaker’s voice and words he or she uses. Generally, all versions of Hokkien are mainly derived from the Quanzhou and Zhangzhou variants – the two oldest dialects of Southern Min spoken in Fujian province. The Hokkien of the southern states of Malaysia speak the Quanzhou variant, while the version used in the northern states is derived from the Zhangzhou variant, and is commonly known as “Penang Hokkien”. Interestingly, the northern version of Hokkien contains more Malay loanwords than the Hokkien spoken in the southern states. As such, it is said that a Hokkien speaker from the south would find it much easier to speak Hokkien to Taiwanese or Hokkien speakers from Fujian province, rather than one from the north. Such is the potency of place to shape language as it evolves. Conversely, language has the power to shape how places are perceived and interpreted, as each language may paint a different picture of a place to the people who speak the language. Speech and spoken words have always held a certain appeal to me, particularly when they are used to ascribe and associate meaning to a place, or to bring back memories of a distant past that are closely linked to one’s birthplace. My work-related visits to my hometown Klang, of late, has brought back many memories of my younger days, growing up in a town where Hokkien is the only dialect I could understand or speak with competence. Hence what started as a recollection of my early years quickly grew into an impetus for personal creative endeavour. And thus my first foray into public art began. My hope is that my artwork could assume the role of an interlocutor to stimulate thinking, to prompt dialogue, and to heighten our awareness of our communal roots and values. For many foodies, Klang may be a town synonymous for its authentic bak kut teh, but for me, Klang is more than just a town where I was born. It is also a town infused with meaning and relevance that holds the key to my past. I am not simply a Chinese Malaysian; I am a “Hakkien” whose substantial identity is very much rooted in the habitus of Hokkien-ness. 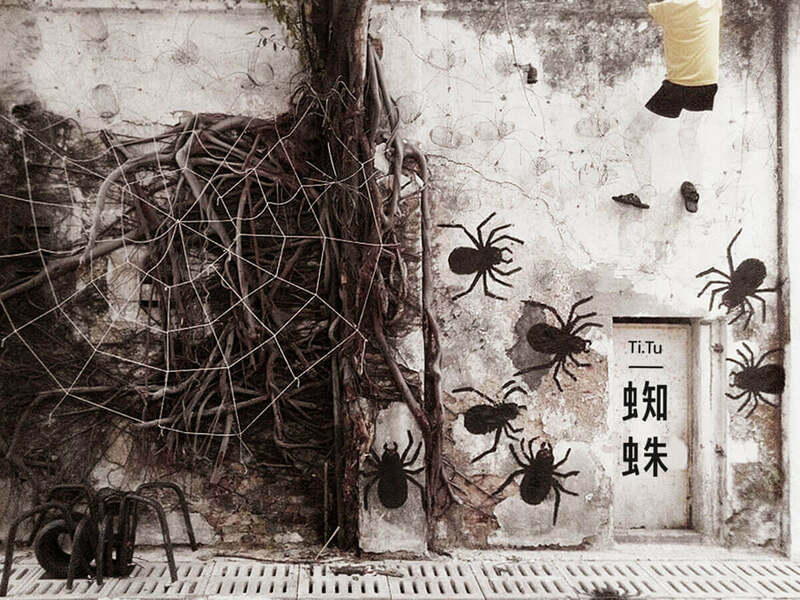 Ti.Tu – Hokkien for spider. Catching spiders to fight is probably unheard of by many urban kids nowadays but it was one of the many childhood pastimes that I had, especially after- school hours. 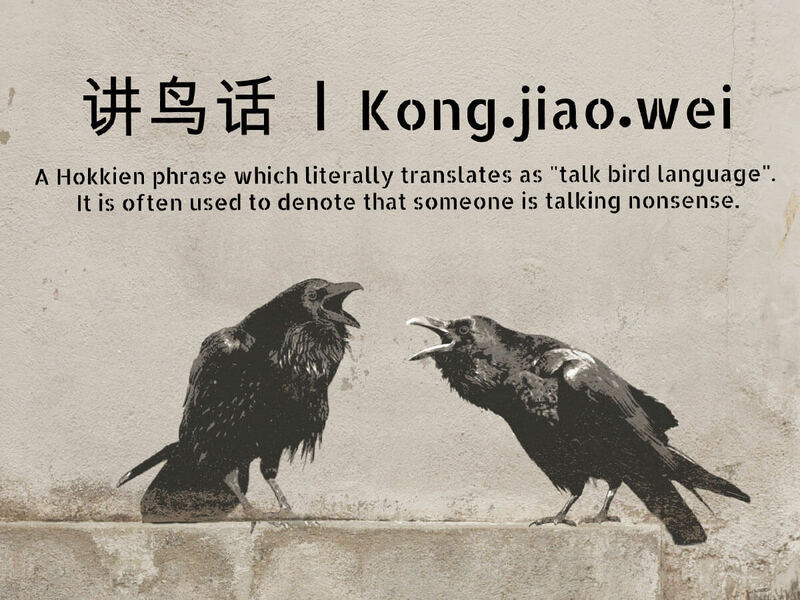 Kong,Jiao.Wei – A Hokkien phrase which literally translates as talk bird language. 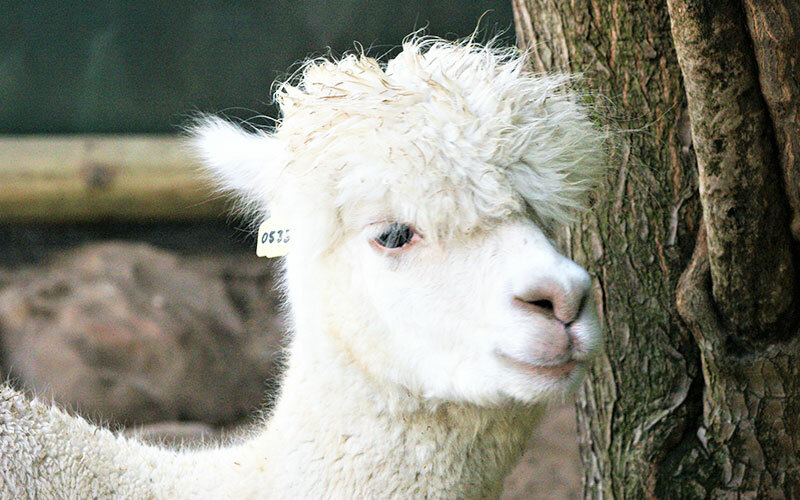 It is often used to denote someone is talking nonsense. Kay.poh – A Hokkien phrase for busybody or someone who is nosy. 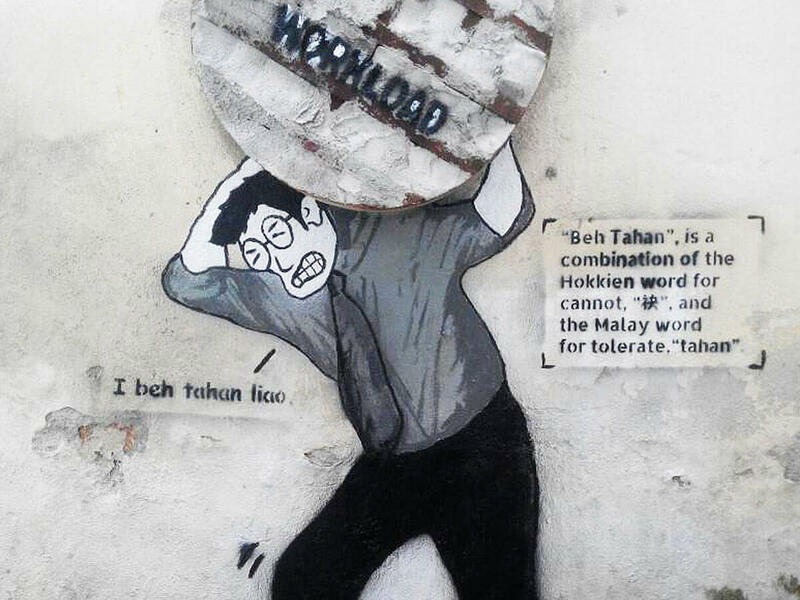 Beh Tahan – A combination of the Hokkien word for cannot, andthe Malay word for tolerate, tahan. The artworks shown here can be found in the vicinity of Jalan Stesyen 1, Klang. 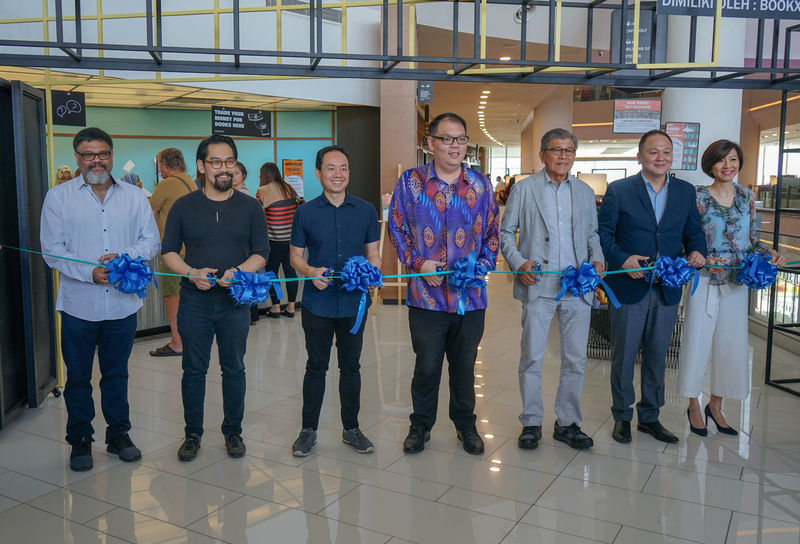 This self-initiated public art project would not have been possible without local community support, particularly from the Klang City Rejuvenation team. 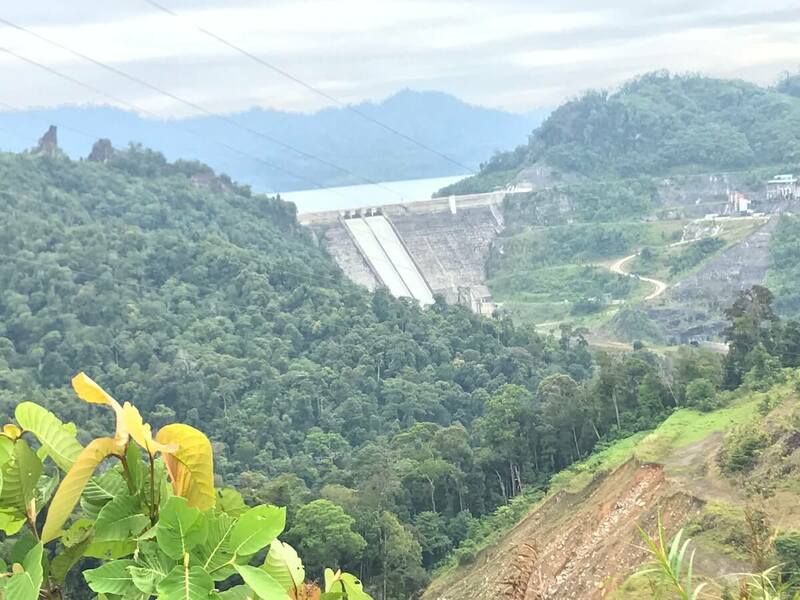 Murum Dam is located on the Murum River, the uppermost part of the Rajang River basin. 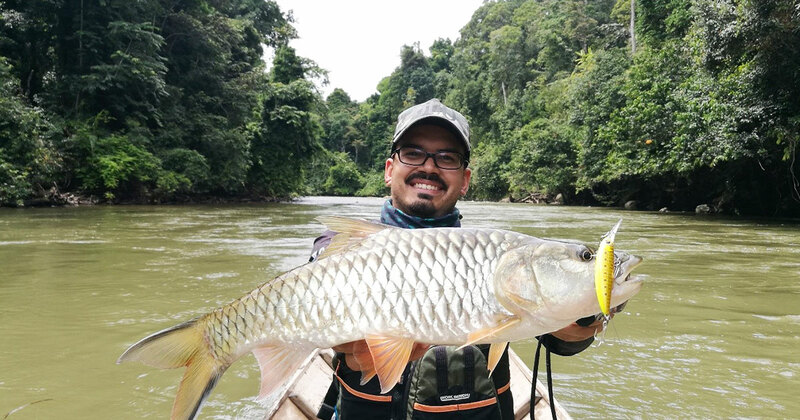 It is fed by numerous rivers and streams, which makes it an ideal fishing ground for nice sized double-striped hampala barb (Hampala bimaculata), also known as sebarau. 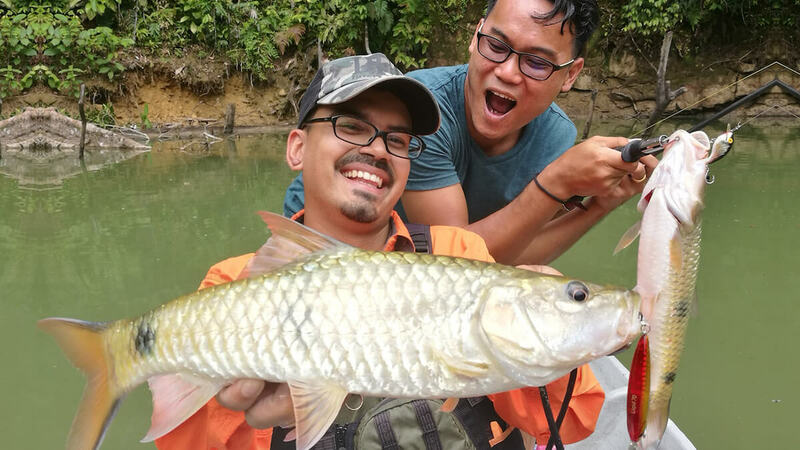 My first fishing trip to Murum was in 2016, which saw us landing dozens of sebarau, and I have been itching ever since to visit the dam once again. Thankfully I wasn’t the only one who felt this way. 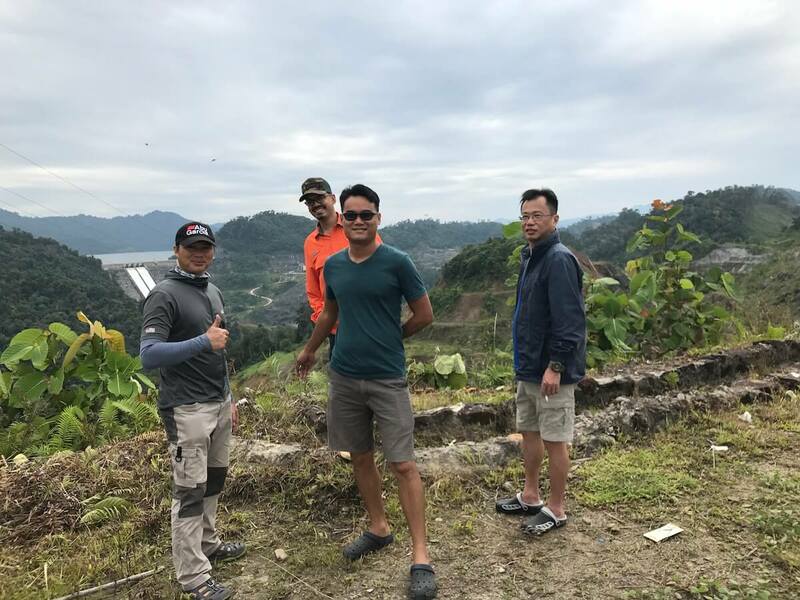 My friend Gerard seemingly plucked the idea straight from my brain, and soon enough we were on the way to Sarawak, joined by another two friends, Boon Yew and Kelland. We flew into Bintulu from KLIA, before checking into our hotel for the night. After a delightful dinner and cold beers, we decided to get to bed early so that we would be fresh and ready for the next day. Richard, who was our guide and boatman for the trip, picked us up from our hotel in his four-wheel-drive before sunrise to begin our five-hour-long journey to Murum dam. Several hours later, we stopped at a local Iban farmers market, where we bought some last minute supplies which we would take with us. Upon reaching the jetty, we all eagerly loaded up into our two boats. Gerard and I were the first in with our boatman Ikhlas, while Kelland and Boon Yew got in Richard’s boat. The jelatong or floating house, which we would be calling home for the next three days, was about two hours from the jetty. But we had come all this way and couldn’t wait, so we decided instead to fish first before heading out to the jelatong. 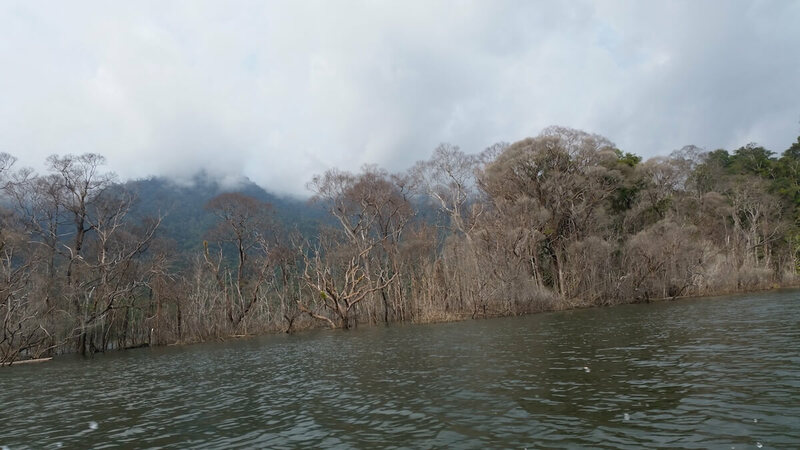 The boatmen reminded us that when fishing in Murum, it’s best not to focus too much on the main lake, but instead the areas where rivers or stream flow in, as this is where the sebarau usually converge. 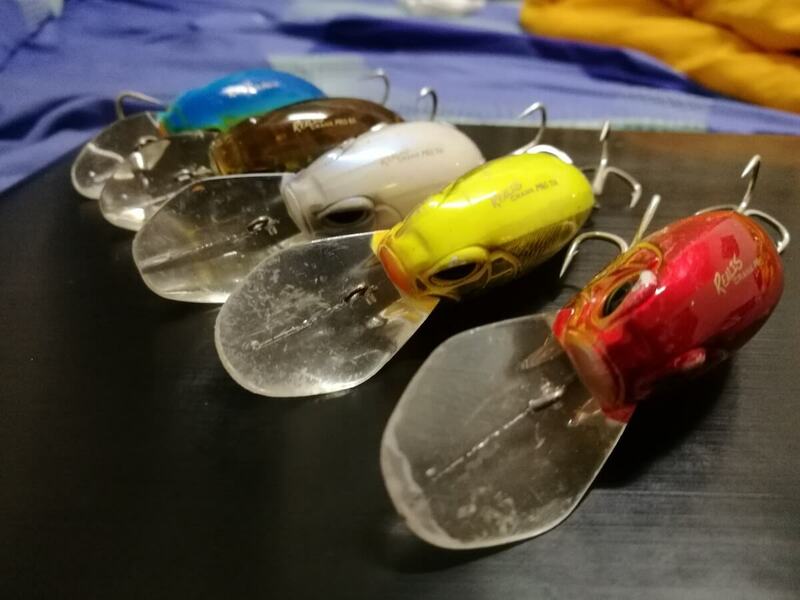 The lures which I had prepared for the trip were mostly sized 70mm and below, such as the DUO M65, Spearhead Ryuki, IMA Ligid, Berkley Dredger, Rapala CD7 and Fat Rap. I also brought along a variety of spoons, such as the Daiwa Chinook, Abu Island and Tok Wan, as well as several spinnerbaits. When we reached the first spot, Gerard and I immediately noticed that there were nets which had been set in the area. This wasn’t a good sign, as we knew that this would have adverse effects on our fishing, so we immediately decided to switch to a different spot. 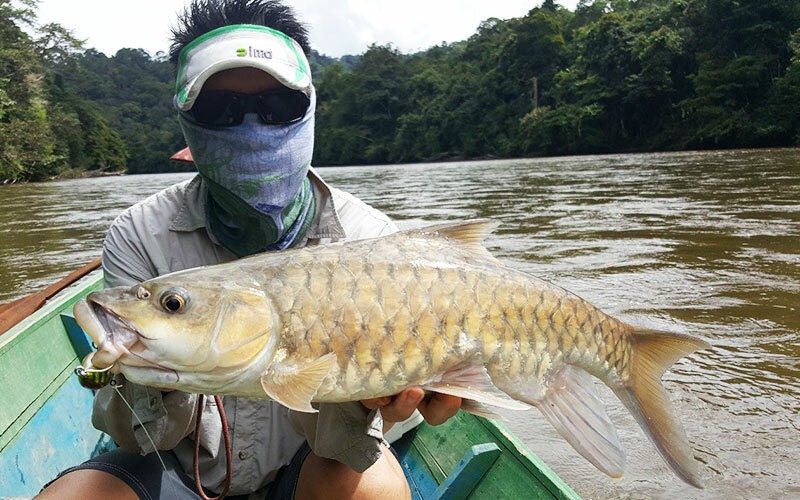 Upon reaching our second spot, Gerard, who was using a rather large spinnerbait immediately cast it out. He allowed the spinnerbait to sink for several seconds before retrieving. 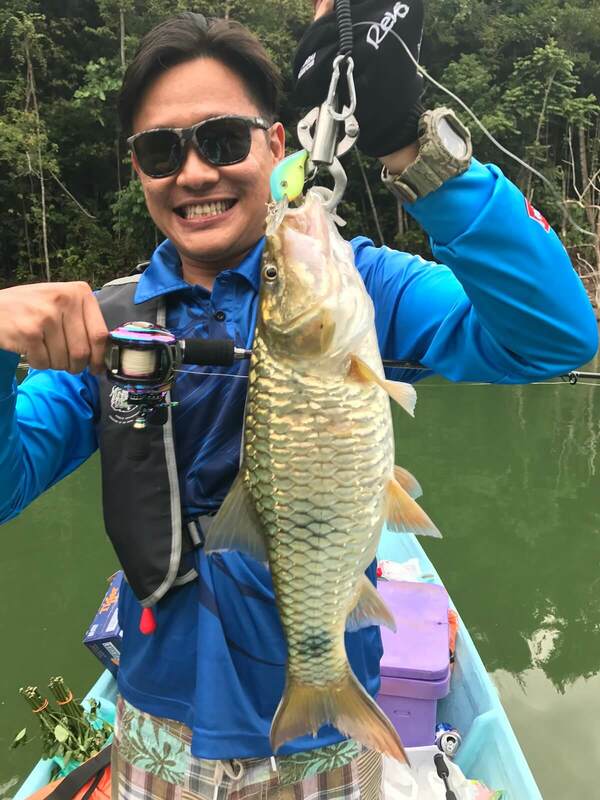 Several casts later he got a solid strike which stripped the line from his reel and after a nice fight, Gerard landed himself a 1kg sebarau which we released quickly. Meanwhile, I was using the Daiwa Chinook spoon, and despite getting several “knocks” from the fish, none of them took my lure. After several attempts I changed to an IMA Ligid, which I casted out before letting it sink for several seconds before retrieving it. 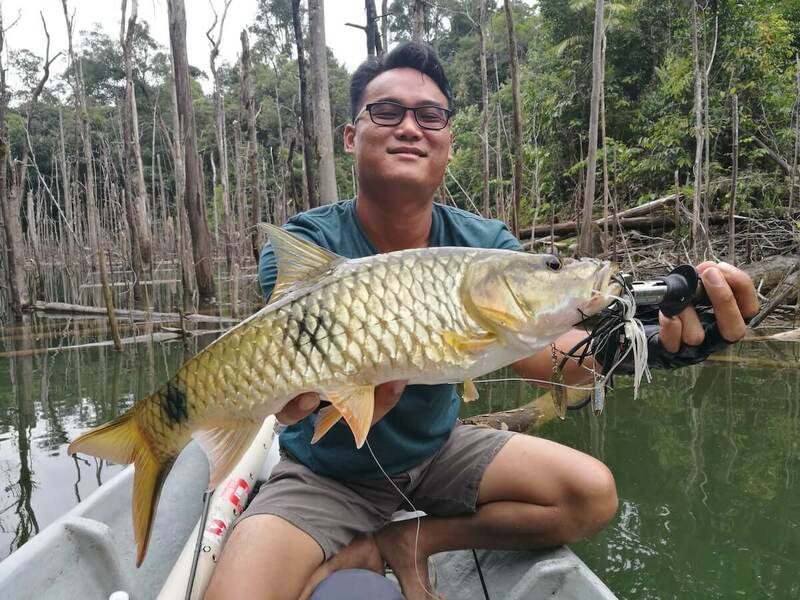 The technique which I used was that I would jerk and stop while retrieving it, and on my second cast I got a solid hookup which turned out to be another nice sized sebarau. While I was getting the fish out of the water, Gerard got yet another strike on a small shallow crank which he had changed to. After taking some quick pictures, we safely released both fish back into the water. Murum being a relatively new dam has numerous dead trees which stick out of the water. While we were casting, our boat knocked into one of these trees which led to a big rotten branch to come crashing down on our boat. 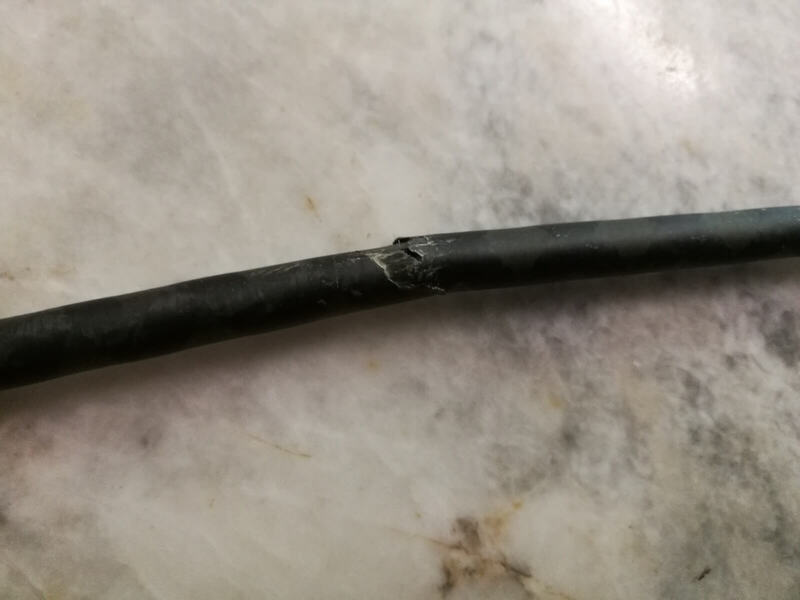 After checking if everyone was fine, I found that the branch had smashed directly onto my TecnaAVX rod and broke it in half. I was downcast for sure, but I knew that had the branch hit one of us things could have been much worse. A new rod can be bought, but an injured head in the middle of the jungle would be nothing short of disaster. Thankfully I had my two other rods, so once we had cleared our boat of the broken branch, I was back to fishing. We both managed to land several sebarau throughout the day on various different lures while slowly making our way to the floating house. 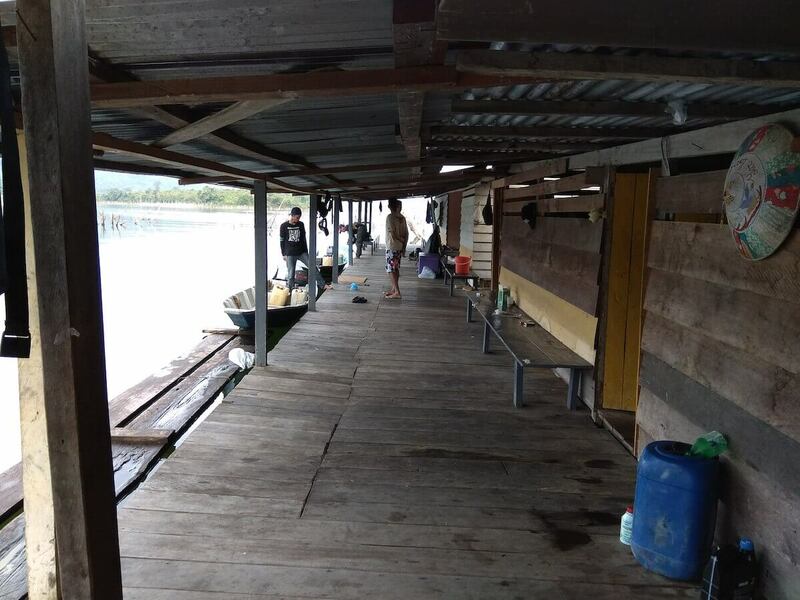 When we reached the floating house, we saw that both Kelland, Boon Yew and Richard were back as well. 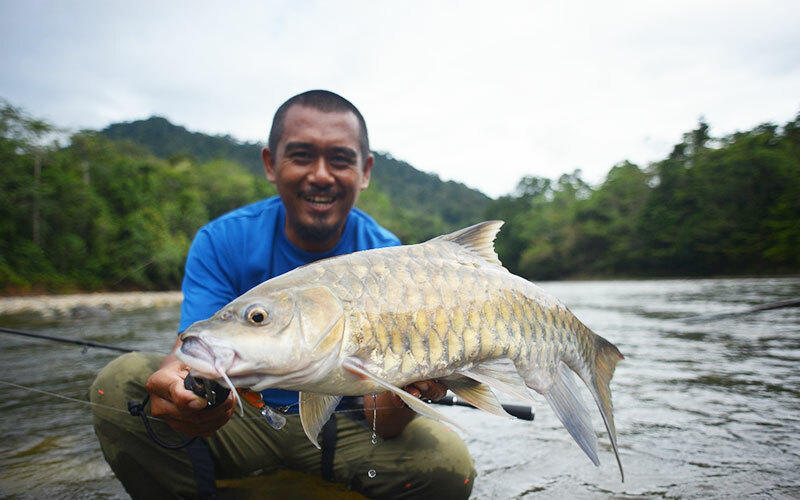 The three of them had a rather good day as well with numerous sebarau landed which ranged between 300g-1kg. Many of the sebarau which they caught were on the Abu Island 18g as well as the Berkley Dredger. That night, after a simple dinner of canned food and rice, we all sat around talking about our day and what our plans were for the next. It was decided that we would swap boatmen, with Kelland and Boon Yew going with Ikhlas while Gerard and I would go with Richard. The next day, after a quick breakfast, we were on the go again. 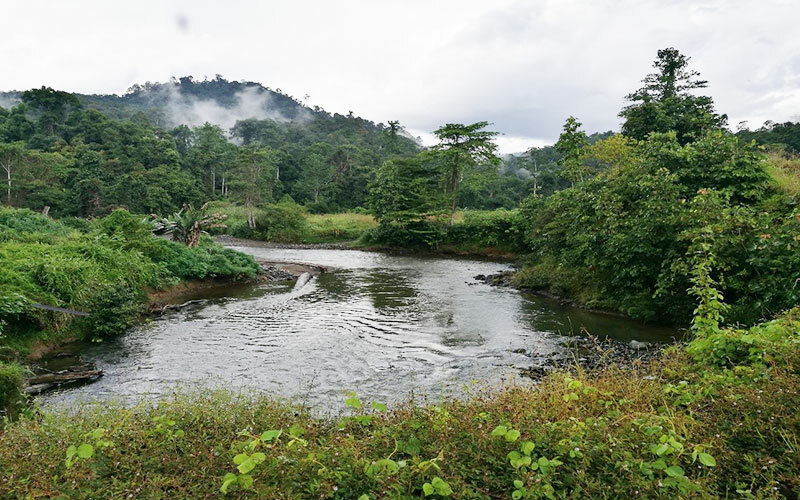 This time we headed up to Ulu Danum, which is one of the many rivers which feed into the lake. However due to heavy rain and apparent logging further upstream, the water was too murky for us to fish. We split up and explored several different spots instead where we landed nice good number of sebarau. We also lost several fish to bent hooks which opened up, a constant reminder that there were big sebarau around. 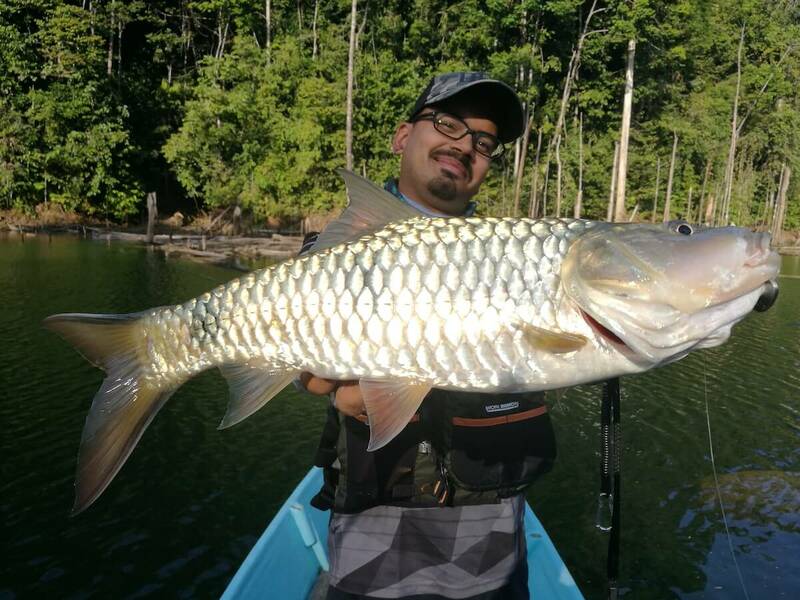 Most of the fish that we caught on the second day were between 1kg-1.5kg, sizes which are hard to come by easily back here in Peninsular Malaysia. We also realised that the strength of the two striped sebarau was stronger than the normal single striped variety (Hampala macrolepidota). 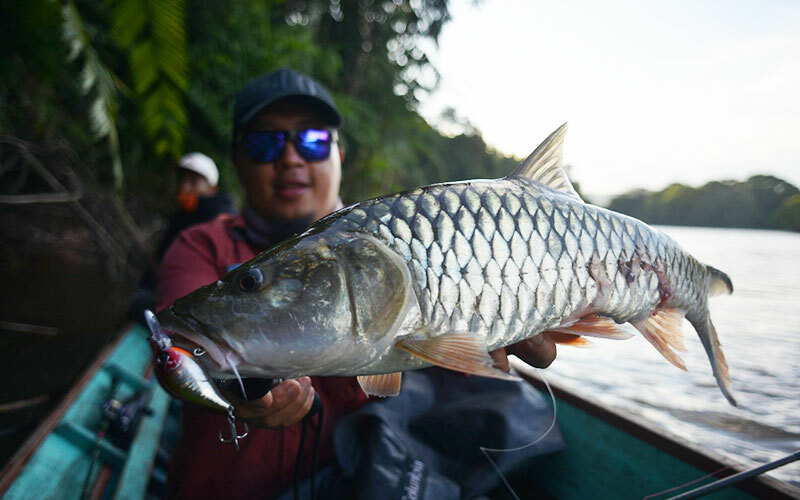 When we returned to the floating house at the end of the day, we were told by Kelland and Boon Yew that they had been lucky enough to have stumbled upon a large school of sebarau, where they landed more than a dozen fish on a variety of lures including soft plastics. That night, we all stayed up late knowing that the trip was coming to an end the next day. The whole night we shared stories and jokes till we all slept off one by one. The following morning, we loaded up all our stuff into the boats before heading out as we planned to slowly make our way to the jetty while fishing on the way. 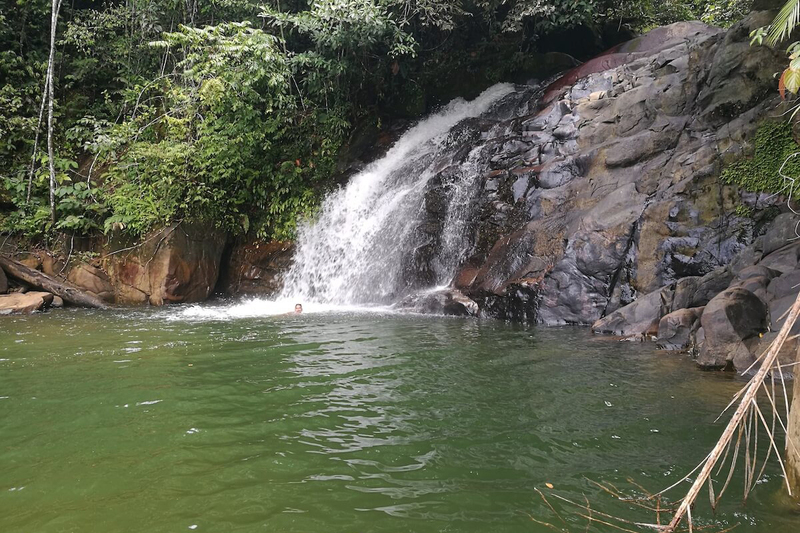 For some reason on the third day, the fish were not responsive and at noon we decided to head to a nearby waterfall to relax and have a quick dip. At the last spot that we stopped before heading back, Gerard and I were casting at some floating logs in the lake when there was a strong take on my Rapala Fat Rap. The water in that area was crystal clear, and I saw that a generously-sized sebarau hooked up to my lure. 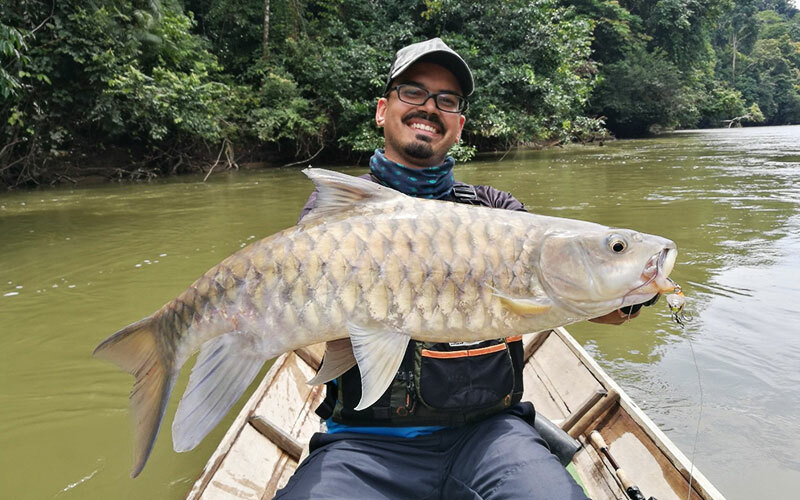 When the fish was about two feet underwater, suddenly another larger sebarau emerged from the depths and snatched the lure out of the mouth of the first fish with immense strength before dashing into the deep water. 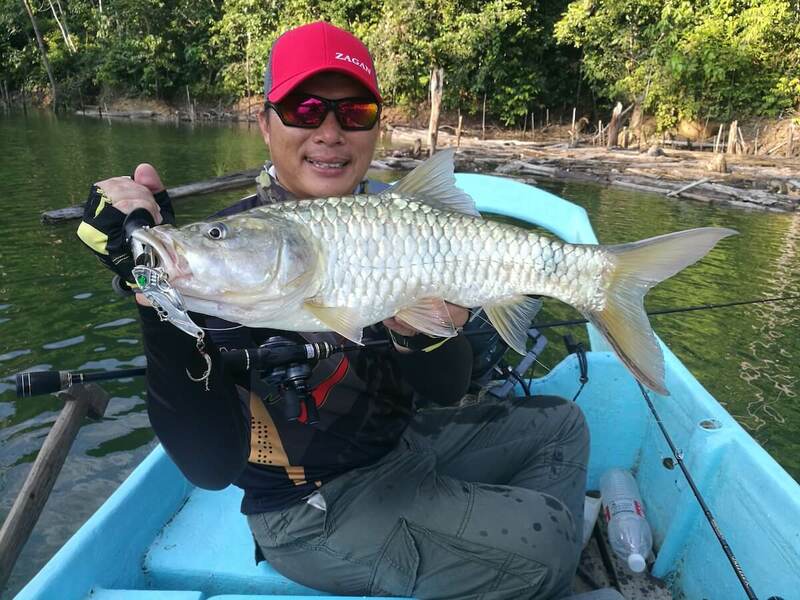 Although I was using my Major Craft Corzza 12-25lb bait casting rod which was paired with a Daiwa Tatula that was spooled with 40lb braid, the sebarau managed to put up a solid fight, but I eventually managed to land it. 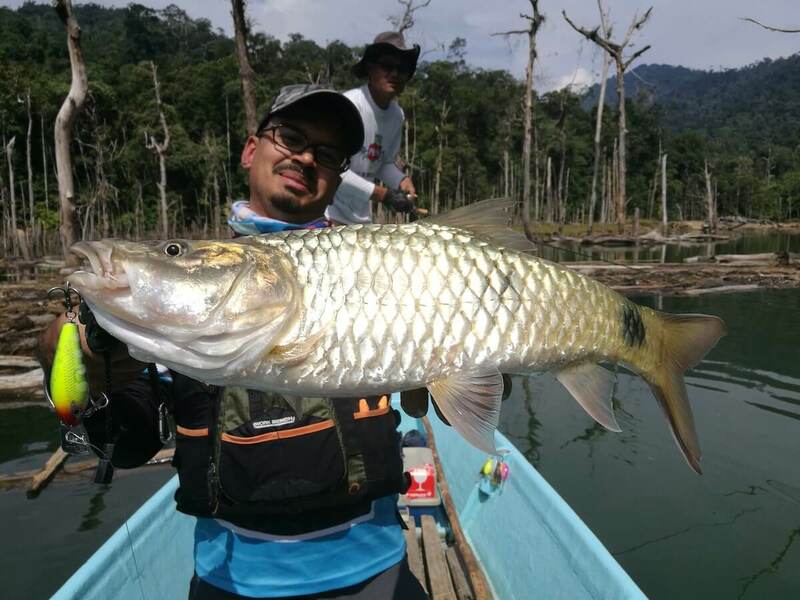 The sebarau’s aggression and epic take of the lure definitely surprised all of us on the boat. After removing the lure from its mouth, I found that the fish and managed to distort one of the Jespa 70lb split rings which I had used for the lure. After weighing the fish, we found that it weighed a nice 2.2kg – the biggest we hand landed for that trip! After some quick pictures, I revived the fish in the water until it was fully recovered and then released it back into its habitat, in hope that it would further grow and give someone else the same thrill that I had with it. 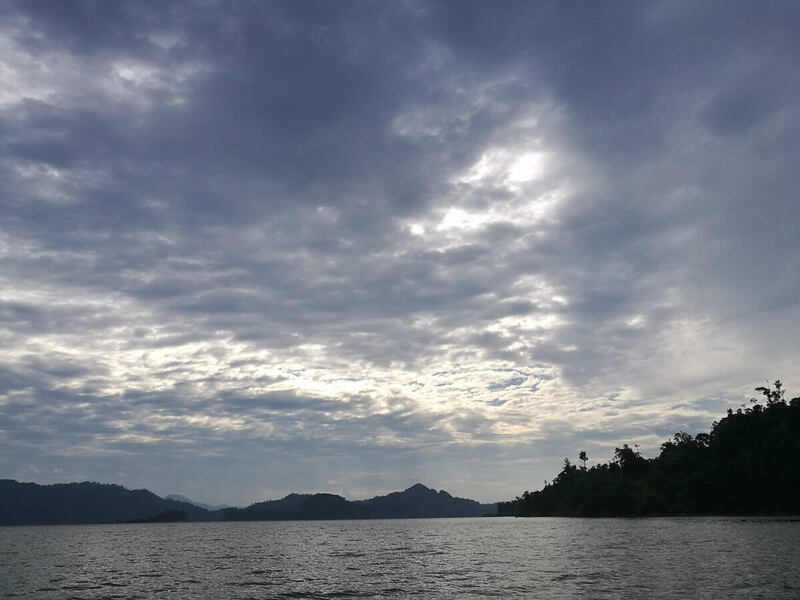 Soon after that, we decided to call it a day and sped back to the jetty where our four-wheel-drive was parked and drove back to Bintulu to spend the night, before catching our flight the following day back to Kuala Lumpur. 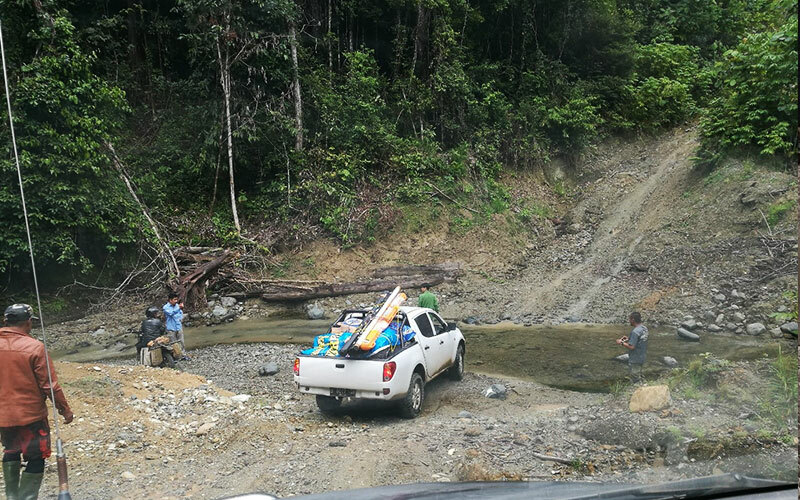 While the trip was a success for all of us, Gerard and I, who had been to Murum in 2016, found that the quantity of fish had definitely reduced. 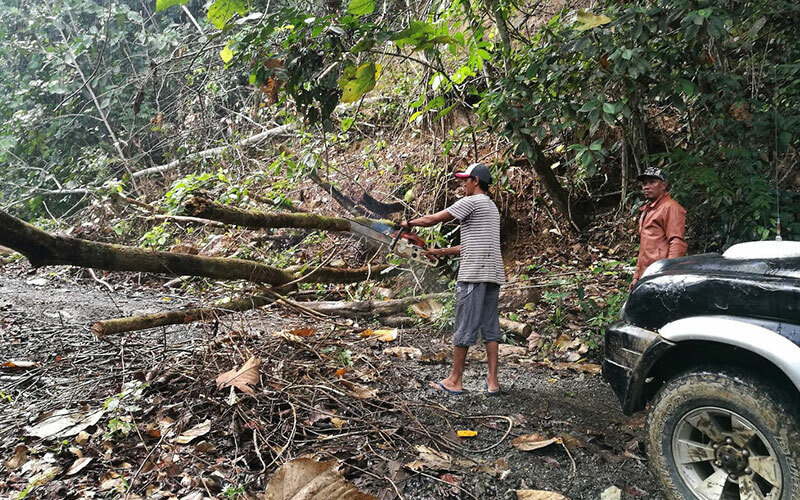 This could be due to some factors such as overfishing, numerous nets set at almost all the rivers, and the logging being carried out in the area. Just recently, several friends showed interest to head to Murum later this year, and while nothing has been confirmed, I’m certainly looking forward to another trip this sebarau haven! It is easy to mistake Cape Town for an European city, but this South African city is definitely worth a visit if you have a chance to travel there. 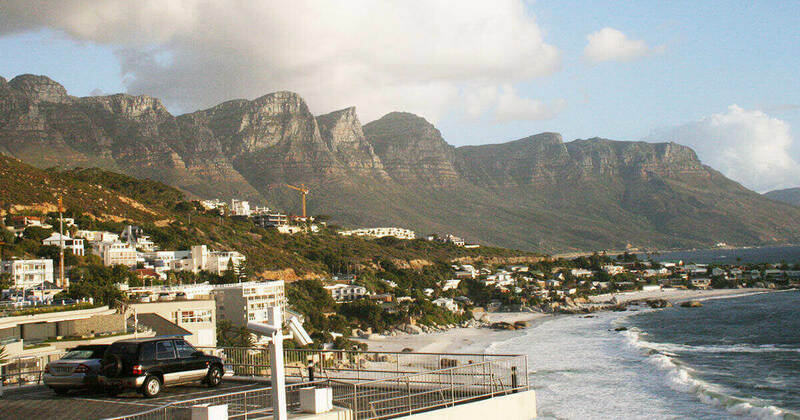 Both the New York Times and the Daily Telegraph named Cape Town as the best tourist destination in the world in 2014. Although the last time my wife and I were there was back in 2007, memories of the place still linger on. We were based in Maputo in Mozambique. Because we had booked accommodation either at Kruger Park or Swaziland, I had developed friendship with a tour consultant, Carien Du Plessis. 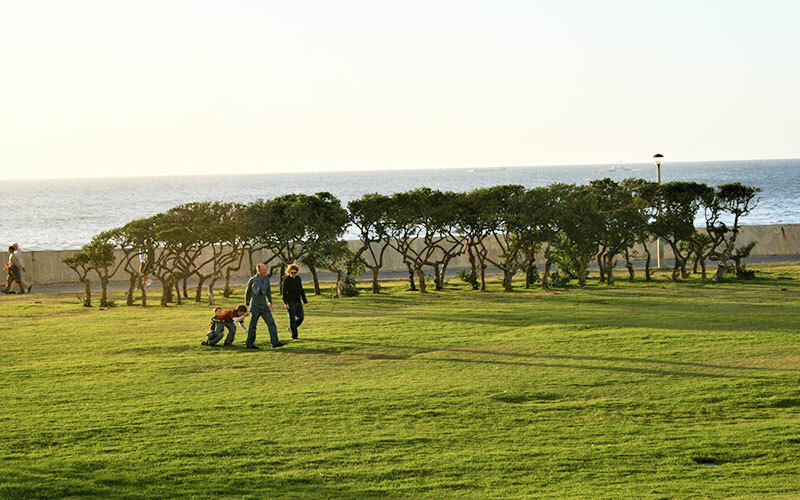 Carien and her family live in Cape Town. They were probably of Dutch descent, and they spoke Afrikaans, a Dutch dialect in South Africa up to the early 20th century before it became the official language of South Africa. When we told her that we wanted to visit Cape Town on our trip home to Malaysia, she helped us to book the hotels, and on arrival from Maputo, she and her husband were kind enough to drive us up from the hotel to their home, some 40km away. After an evening of BBQ, they sent us back to the hotel. This kind of hospitality was hardly an exception, we encountered it everywhere in Cape Town, which made our visit very memorable. Over dinner, she advised us on how to get around on the Hop On Hop Off buses. 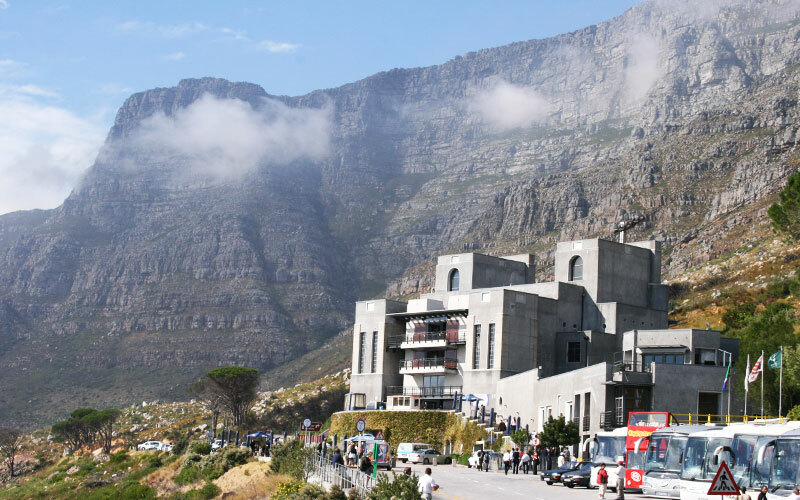 There are two routes – the Red and the Blue routes, which bring us to different tourist locations in Cape Town. 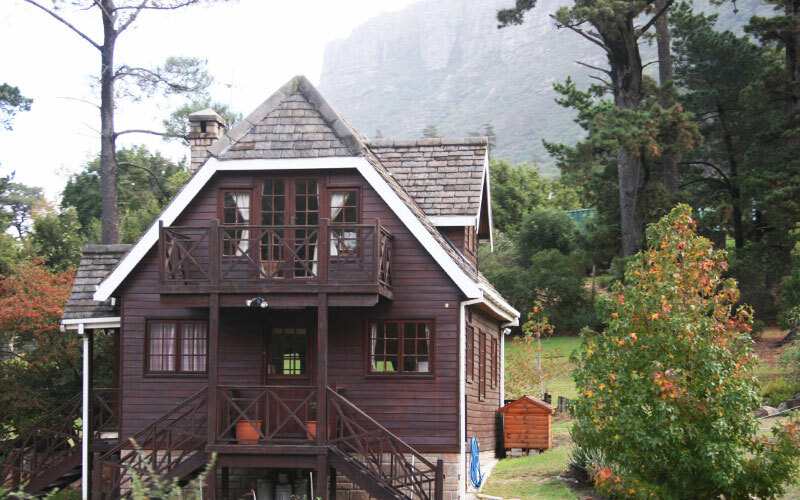 We did not have to worry about security or the hassle of driving around in Cape Town on our own. After the first day on the Red Route, we decided we would also go on the Blue Route. The highlight of the visit was the Table Mountain. All around town as you drive, you can see the mountain with a flat top, resembling a table. 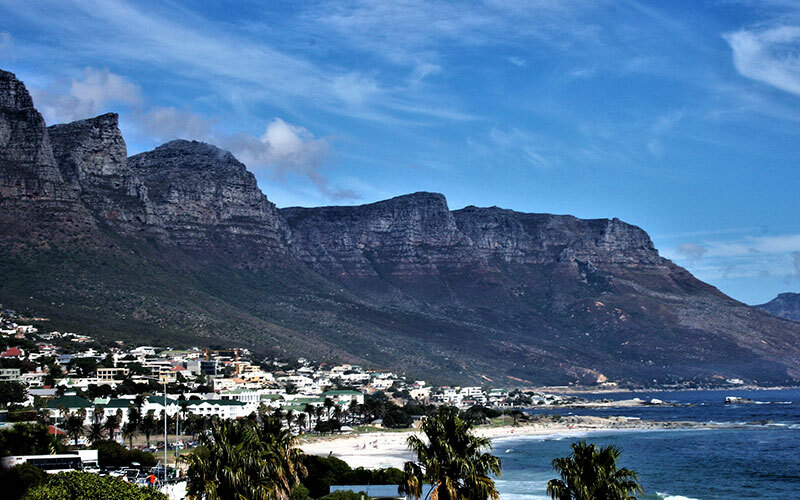 However, the mountain got its name from Table Bay in Cape Town. 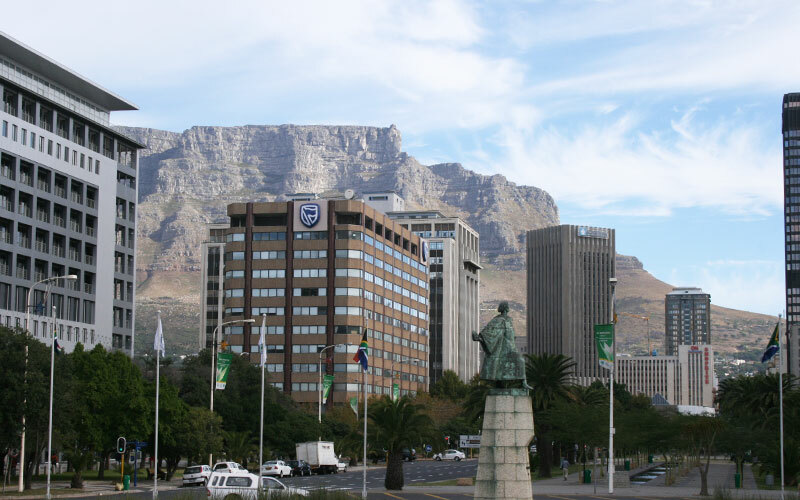 Cape Town is what it is today as the result of the hard work put in by the Dutch East India Company. You can see a lot of old buildings built by the Dutch that date back to the 17th century. In 2014, the city bagged the World Design Capital awarded by the International Council of Societies of Industrial Design. For that reason, it is worth a visit especially for those who are architecturally inclined. 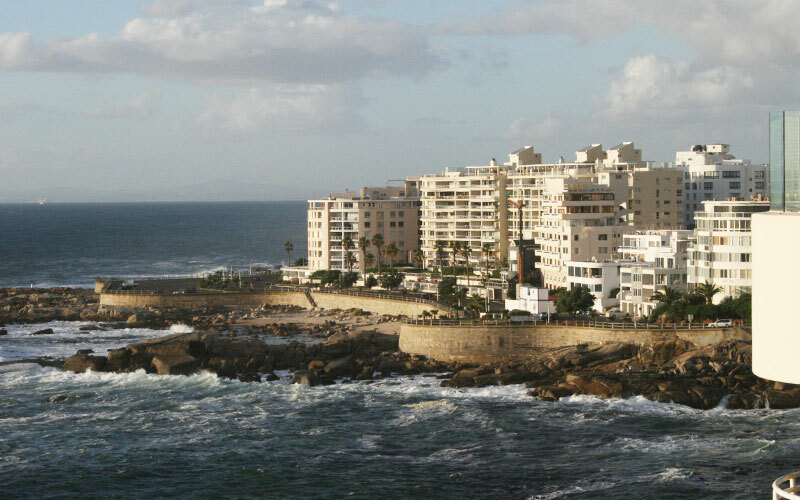 Table Bay, on which Cape Town is located is, in fact, the oldest developed area in South Africa, owing to one Jan van Riebeeck who had founded this European settlement in 1652. He is the equivalent of Sir Francis Light in Penang. Cape Town was the largest city in South Africa until the Witwatersrand Gold Rush and the development of Johannesburg as the capital of South Africa. 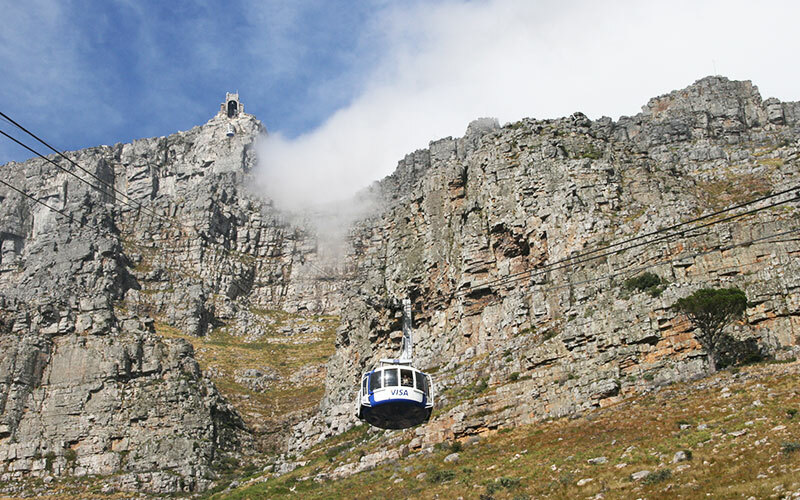 To get the scenic view of Cape Town, it is worth a ride on the Table Mountain Cableway up to the top. Although it is only a flat area, the experience of being just on top of the world overlooking this beautiful city was just mesmerising. 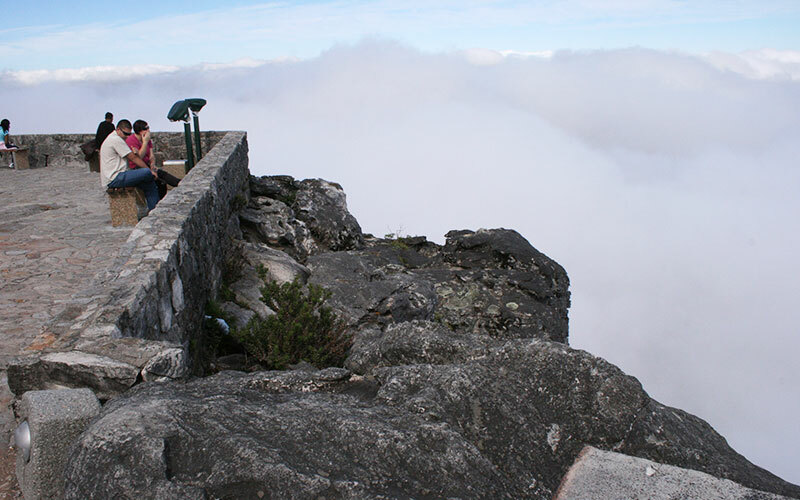 There are some who may prefer to on a 4-hour hike up the Table Mountain. It was here that we met a gentleman who claimed that he was a Cape Malay. When we told him that we were from Malaysia, he shared with us that his ancestors had been brought here by the Dutch as slaves centuries ago. However, he no longer speaks a word of Malay. 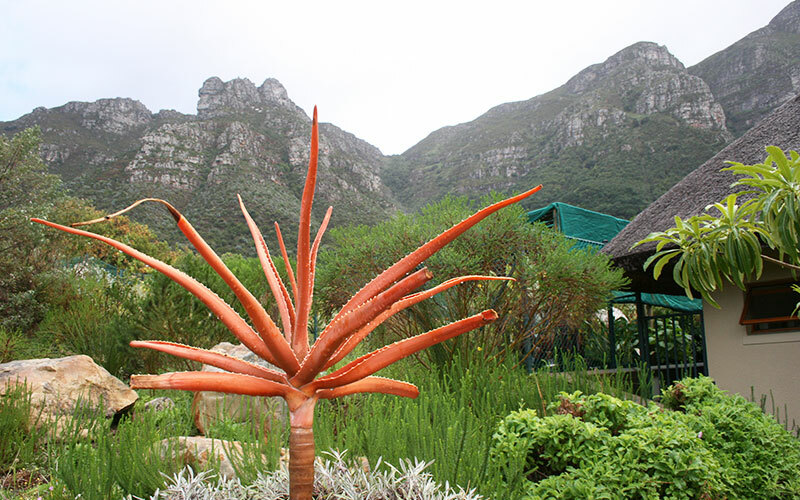 The other place worth visiting especially for those who love all kinds of flowers is the Kirstenbosch Botanical Gardens, which is a legacy left behind by Dutch since 1913 to conserve the extraordinarily rich and diverse flora of southern Africa. Over here, be prepared to spend an entire day just to enjoy the different kinds of flowers and the walk as the garden alone covers an area approximately 36 hectares. Our next recommendation is to spend an afternoon at the Mariner’s Wharf. 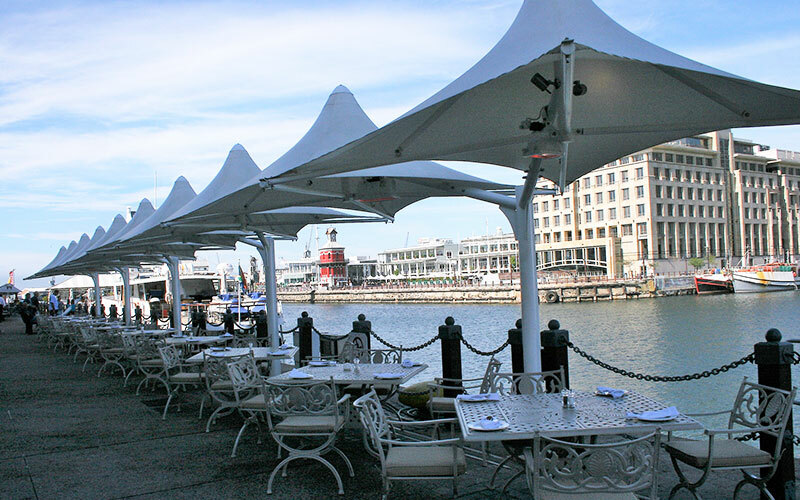 Because Cape Town is a port city, the Mariner’s Wharf represents the life of the people here. Unlike our Pulau Ketam or Kuala Sepetang, the Mariner’s Wharf is a like one of the European wharfs with luxurious yachts and fishing boats. 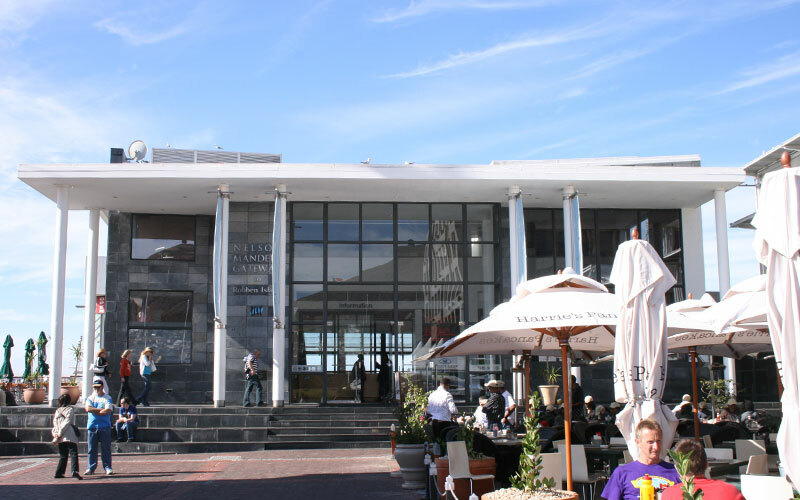 Before planning a trip to Cape Town, it is best to check out the latest tourist attractions here. It may be worth the trip if you want to check out the same species of penguins that swim across thousands of kilometres to the Philip Island in Australia, but since we had already been to Melbourne, we skipped this portion. Alternatively, you can spend at least two nights in Kruger Park on the eastern side of South Africa. 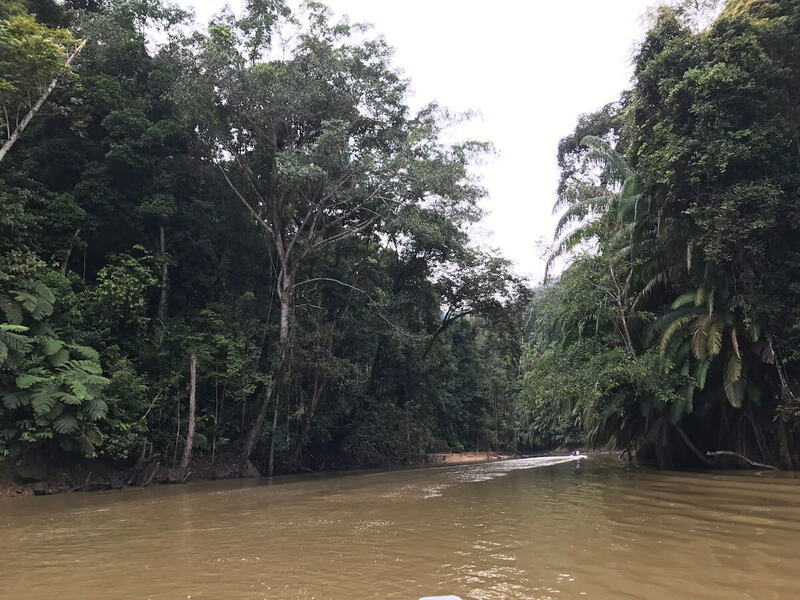 Whenever anyone mentions Borneo or Kalimantan, the first thing which comes into our minds is the mystical 140 million year old rainforest which covers the largest island in Asia, the animals which call it home and the tribes which dwell in it. 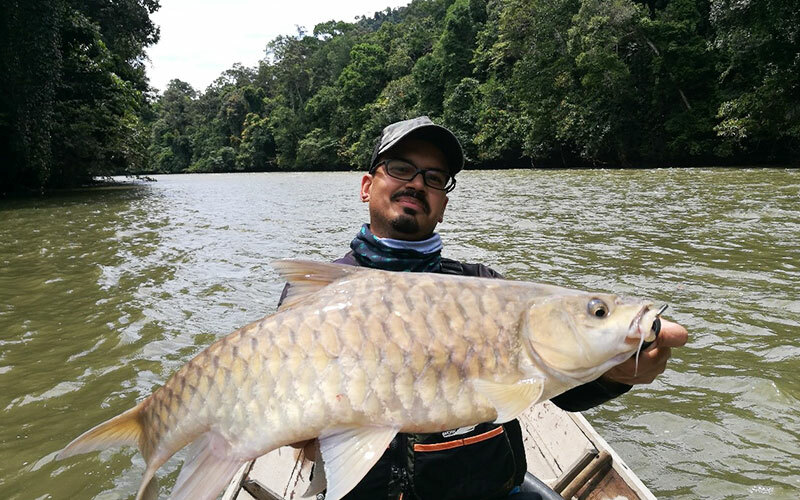 But unknown to many the island is also a freshwater fishing haven with its many rivers and streams which hold an abundance of target fish such as Masheer and Hapala Barb or also known locally as Kelah and Sebarau. 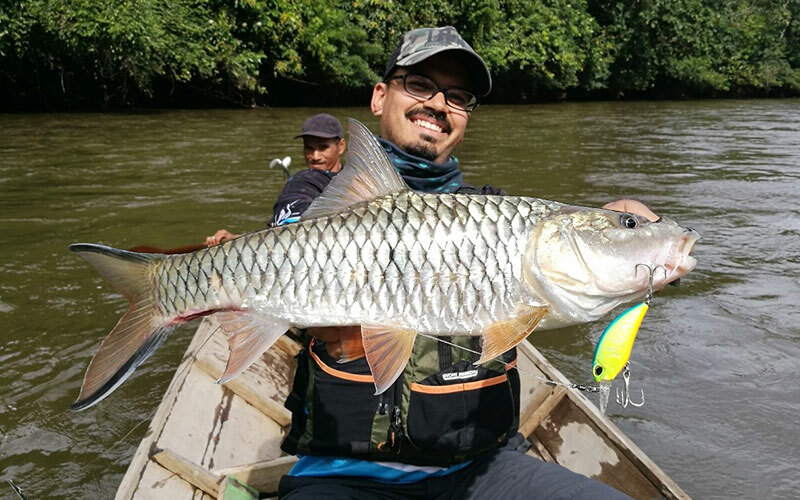 This very reason led six of us putting together a fishing trip to Kalimantan Indonesia in the search of these target fish. 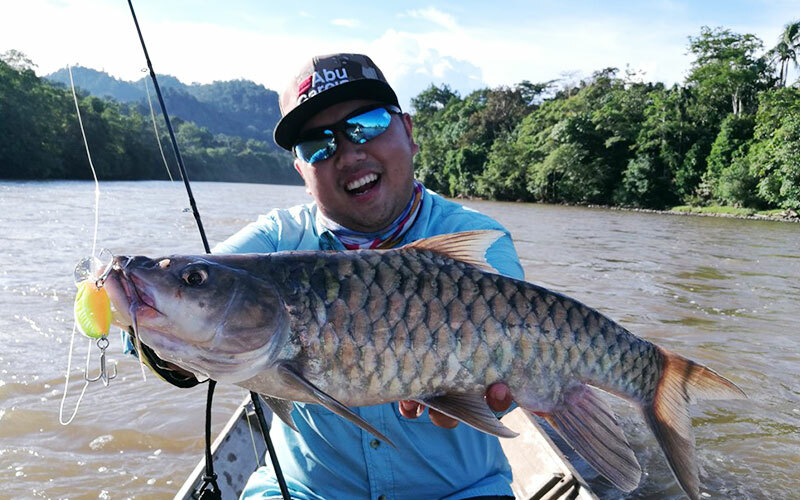 Plans were put into place several months in advance with six anglers who were Fahiz, Yan, TK, Goubin, Kasey and me Sandeep to travel to Indonesia which led us to contact local fishing outfit East Borneo Sports Fishing (EBSF) to book our trip through them. 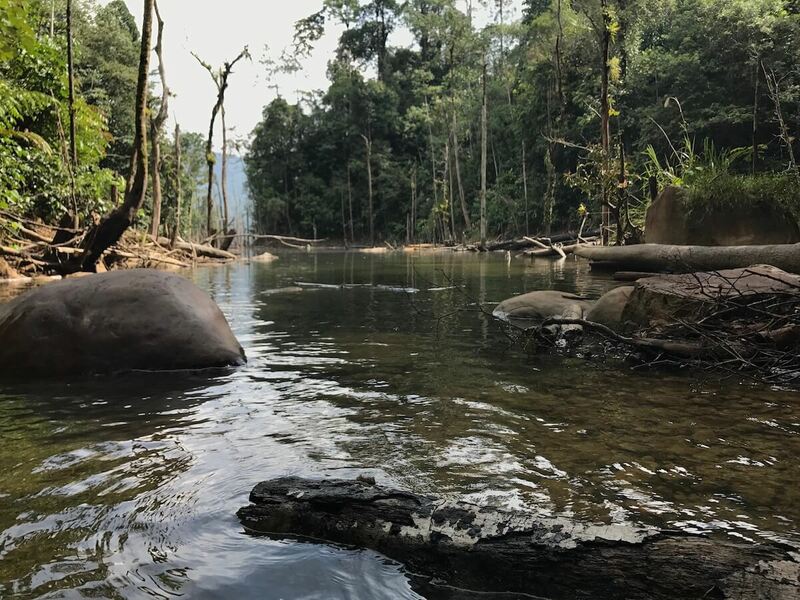 Just three weeks before our trip, we were informed by EBSF that they had recently discovered a new spot in the jungles of Kalimantan which was very remote and off the beaten path. 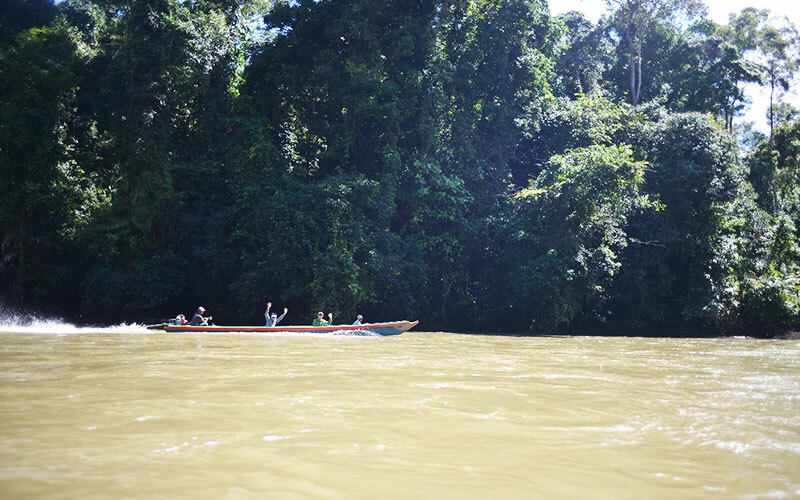 The location which was an estimated 17 hour drive from Balik Papan, Indonesia had only been visited once by the exploration team of EBSF, hence it was a gamble as the place was very deep in the jungle, had very fast flowing water akin to rapids, malaria carrying mosquitos, and unpredictable weather. However the six of us decided to take up the gamble and it was set, we were going for an adventure of a lifetime! Our journey began in KLIA were we took a flight to Jakarta and spent the night in the airport to catch our flight the following morning to Balik Papan in east Kalimantan. Upon our arrival in Balik Papan, we were greeted by Suke who is a fishing guide with EBSF who took us for a quick Indonesian lunch of Nasi Padang before hitting the road. From Balik Papan we took a 9 hour drive to a small kampong where we rested for the night at the home of one of our guides. The following morning after breakfast, we were on the road again for the most challenging part of the trip, which was an 8 hour journey by 4-weel drive along a logging and jungle track. After a bone jarring drive we finally reached the river which would be our fishing location for the next three days, and after loading up into the boat we took a 20 minute boat ride through the rapids to our base camp which was a hunting lodge built by the locals. After a nice bath at the side of the river and a simple dinner we setup our fishing tackle in preparation for the next day. 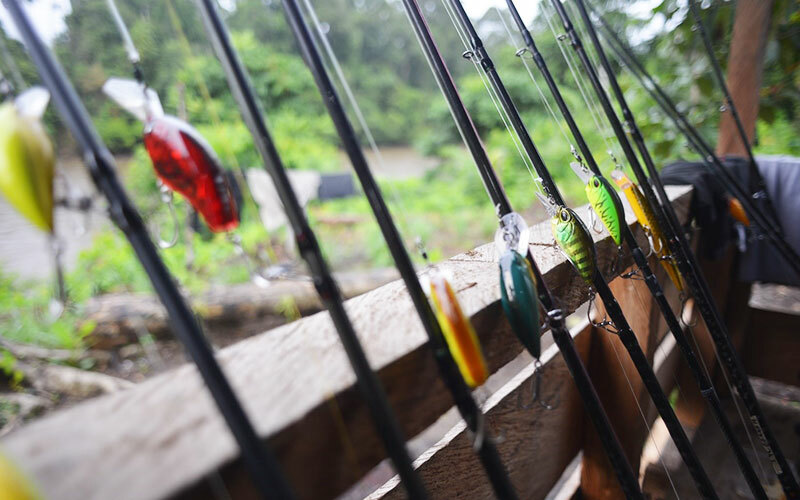 The tackle which we had prepared for the trip was more to the heavy side with us using reels with at least 13lb of drag which had been spooled with 30lb-50lb braided fishing line as well as rods which were on the heavier side with poundage ranging from 10-20lb, right up to 20-40lb. The lures which we had prepared for the trip were mostly shallow diving cranks and minnows which had been upgraded with stronger treble hooks and split-rings to prevent loosing fish due to them failing. 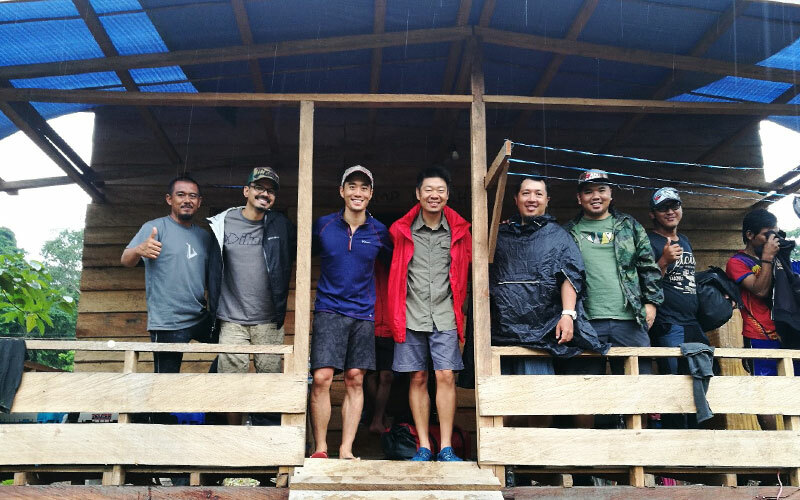 The next morning after a quick breakfast consisting of dried shrimp fried rice which was whipped up by our helpful guide Suke, we loaded up into our three boats which held a pair of us each to begin our journey upstream. The river that we were fishing in was a very fast flowing, hence we traveled three hours upstream before we switched off the outboard engine and started drifting down. We immediately started casting at the banks, under hangs and potential spots which might hold the fish that we were targeting. As it had rained the night before, the water was somewhat murky hence we know that the fishing was going to be challenging. Yan and I casted repeatedly at potential spots towards the bank with me using IMA’S Ligid minnow and DUO’s Realis M65 crank while Yan used RAPALA’S Fat Rap and DUO’s Realis M65 crank to try to lure the fish to hit our lures. 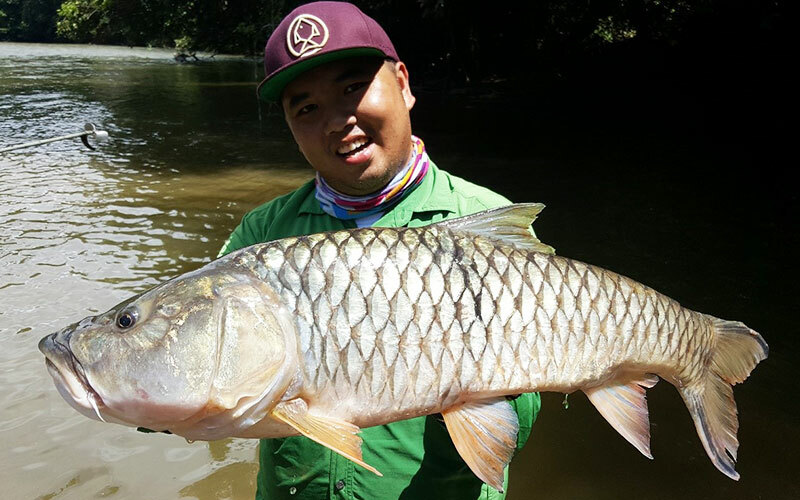 After almost two hours of casting, Yan got a hit from a fish and after a quick battle he landed himself a decent sized Hampala. After a few quick pictures he released the fish back into the river and we were back at it again casting our lures at any potential spot that we could see, however the next hour held no fish for us, so we decided to take a break for lunch with the rest of the guys. After lunch we were back at it again. 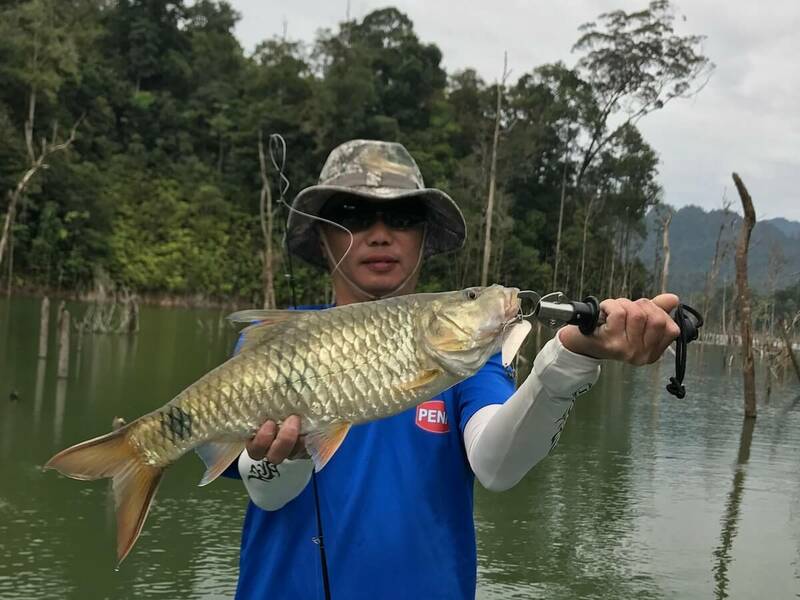 While we were casting along some low over hang, Yan got a strike again and this time he landed himself a nice 4lb Masheer which had whacked his M65 crank. 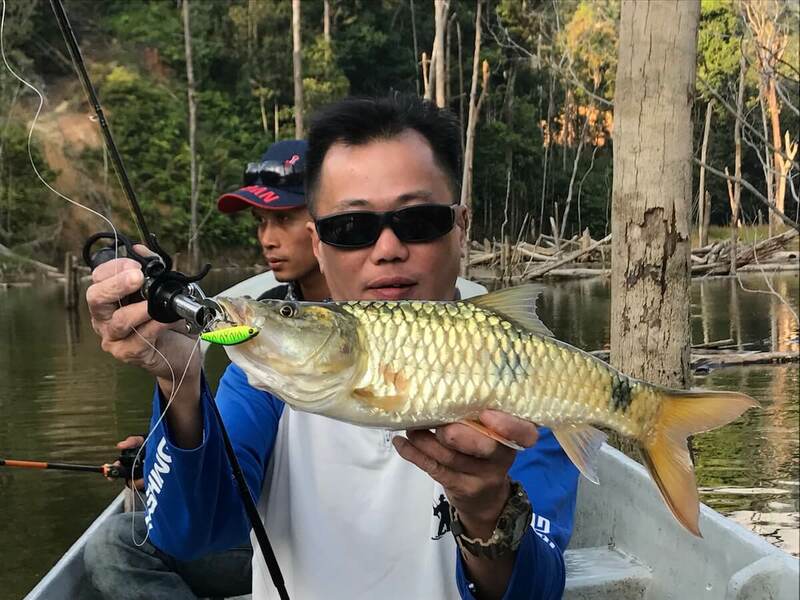 Once again after a few quick pictures, Yan lowered the fish into the water and ensured that the fish was revived before releasing it back into its habitat. By now it was already reaching the end of the day and I had yet to land a fish, I had switched my lures several times to much avail. While casting at a particularly low over hang, suddenly I felt a sharp jerk on my rod, and I was ON! I was determined to not allow the fish to get away and after a quick fight I emerged the winner. 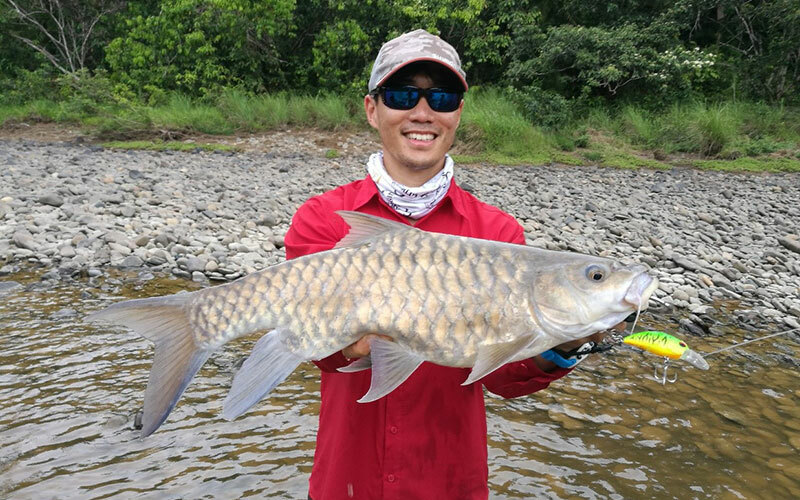 The fish that had taken my DUO M65 was a Hampala which is one of my favorite target fish when I go fishing. Yan took some quick pictures as it was already getting dark and then I released the fish back into the river after which we both called it a day and returned to camp. After a refreshing bath by the riverside, we tucked into a delicious dinner which consisted of grilled Masheer, fried rice and sup, while sharing about our day’s fishing. The rest of the guys had found the fishing pretty tough as well due to the murky water but everyone had managed to land at least a fish each. We were all exhausted from the long day and slowly we all crawled into our sleeping bags for some much needed sleep and with dreams of better catches the next day. The following day we were greeted with by a welcoming sight, the river had somewhat cleared throughout the night and was much less murky. This lifted our spirits and after breakfast we began our day. I had paired up with Kasey for our second day and like the previous day, we travelled upstream for several hours and soon we began casting. 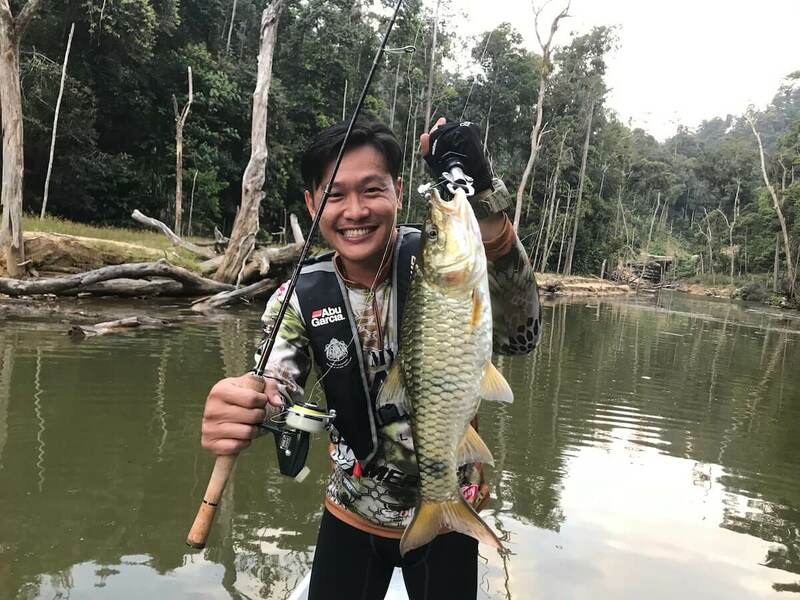 Soon after we began casting I my rod jerked in my hand and I had landed myself a 3lb Hampala which had taken my IMA Ligid moments after I had casted it out. After the normal ritual of picture taking, the fish was safely released back into the water. Soon after I got another strike and this time it was an approximate 6lb Masheer which had taken my lure, I was overjoyed as this was the first time I had landed a Masheer and it was a decent size too. 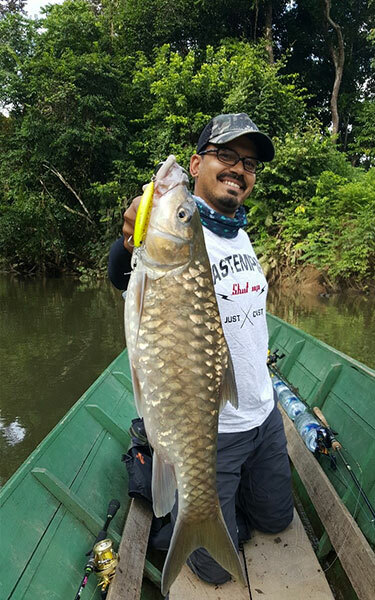 Moments later Kasey landed a nice 4lb Hampala and Masheer in quick succession which put a big smile on his face. This fishing was definitely better on the second day and both of us landed approximately 9-10 fish each which all released after taking some pictures. 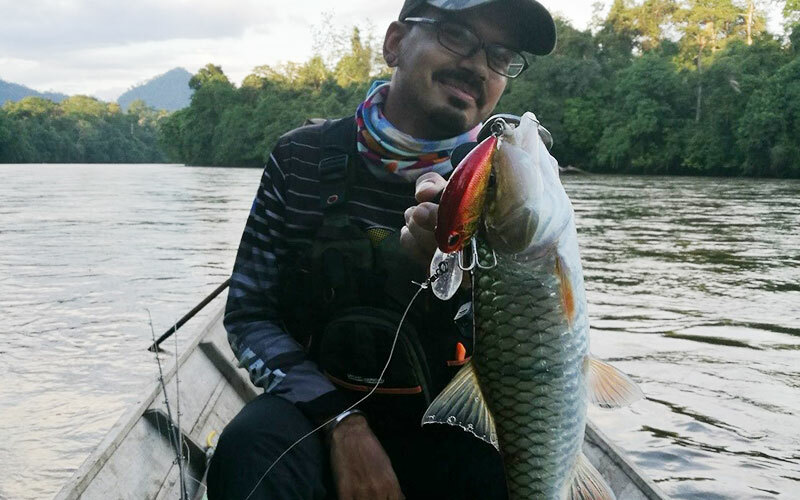 Later that evening when we met up at our camp, we found out that Yan had landed a 13lb Hampala, which was a personal record for him and that both TK and Fahiz had landed big Masheer in the range of 8-10lb’s. The good water conditions had certainly boosted our catch rate and all of us were in high spirits after the day of fishing. That night however it began raining very heavily and we all knew that this was going to lead to the river getting really muddy and murky which was the exactly what happened the next morning. The river had turned brown from all the mud and silt which and been washed into it and once again we knew that it was going to be a challenging day ahead. 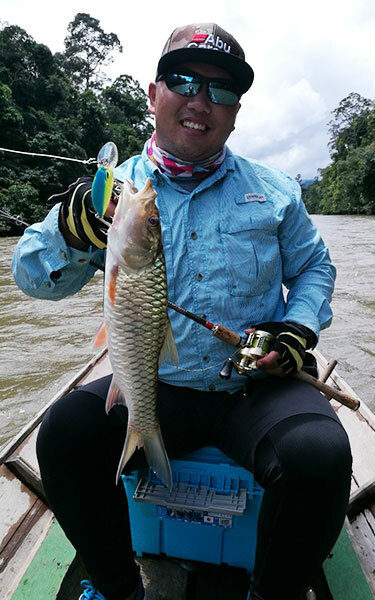 I had paired up with Goubin for the last day of fishing and although the water conditions were bad, I managed to land a 4lb Masheer which whacked my IMA Ligid near a small stream. After a few hours, we decided to call it quits as the water conditions were too murky and we all decided to return to camp. Since we were back early to camp, we decided to pack away our tackle and prepare for the long journey back the next day. Although the fishing had been slow on the last day, we all knew that at the end of the day, Mother Nature always wins and that at least we had a good day’s fishing the previous day. That night we all slept pretty late talking about our trip and fun that we had. 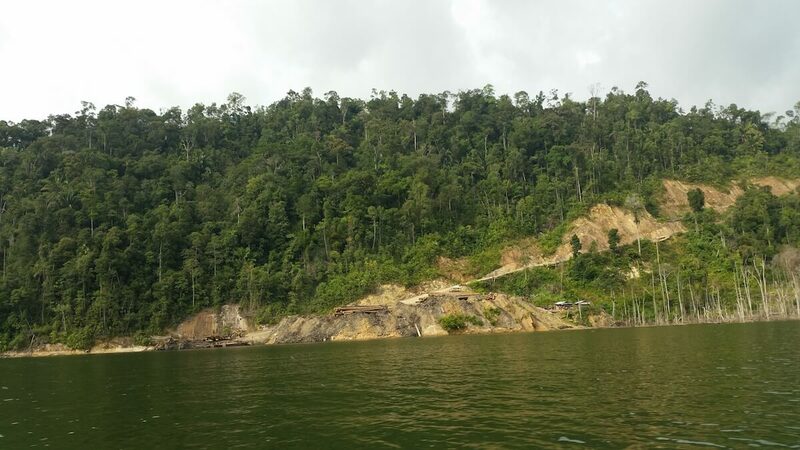 The following morning, we loaded up into the boats one final time to head back to our 4 wheel drives and began the 17 hour journey back to Balik Papan before boarding our flight to Jakarta and finally KLIA. 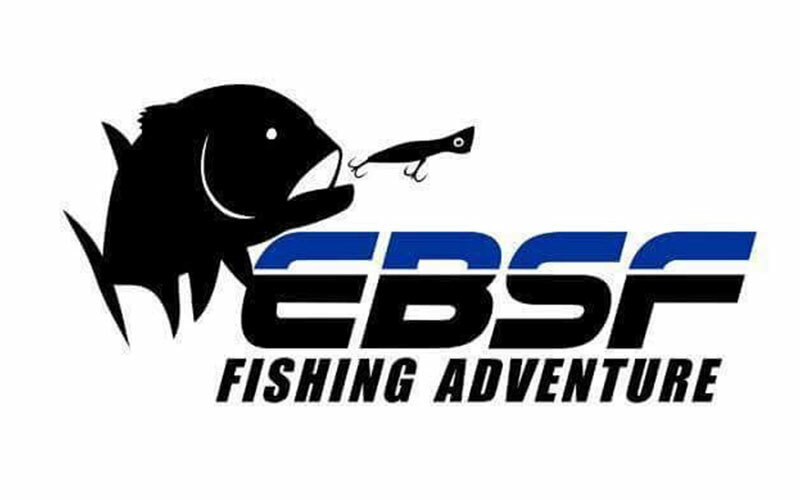 The trip without doubt was well organized by EBSF and they ensured that our trip went along as smoothly as possible. Most of us were covered with mosquito bites by the end of the trip but luckily none of us contracted malaria or any other dangerous disease during the trip. Its sudden trips like this into remote areas which are the most fun as one will never really know what to expect, but given the chance I would definitely head back again there soon!